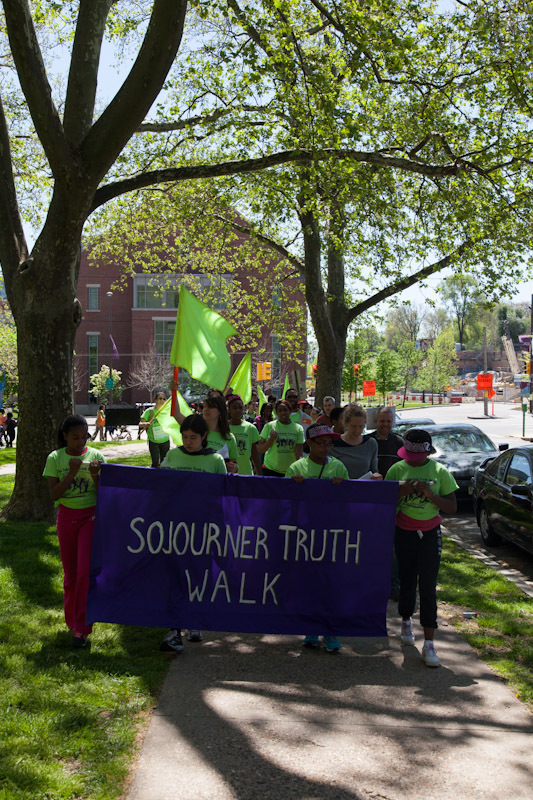 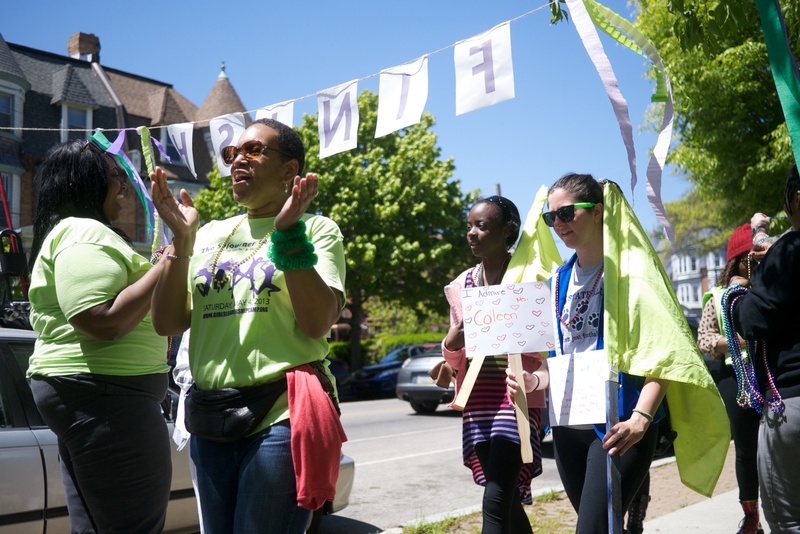 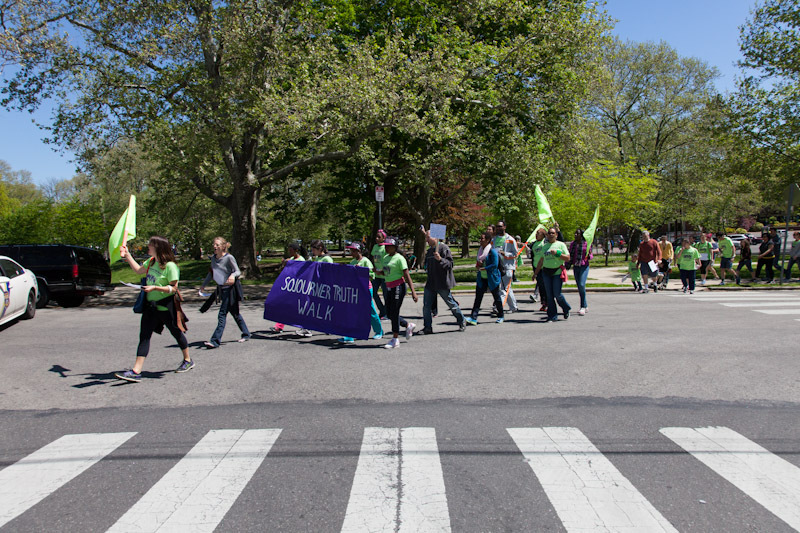 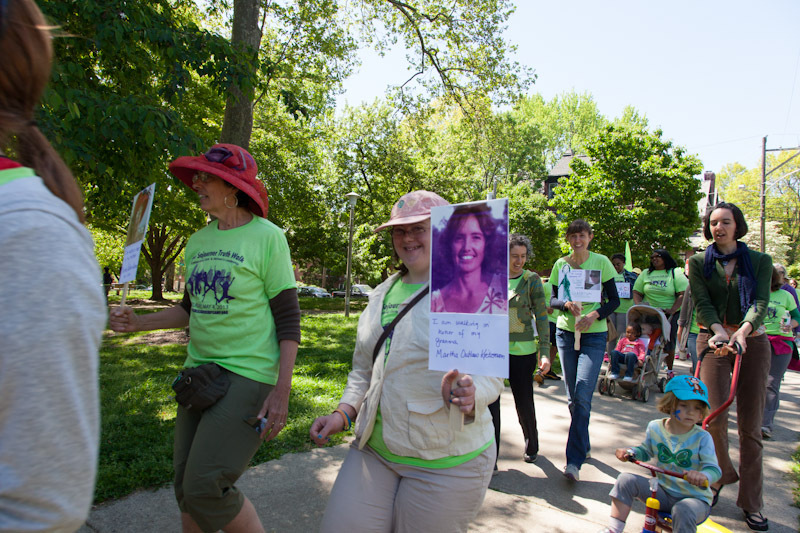 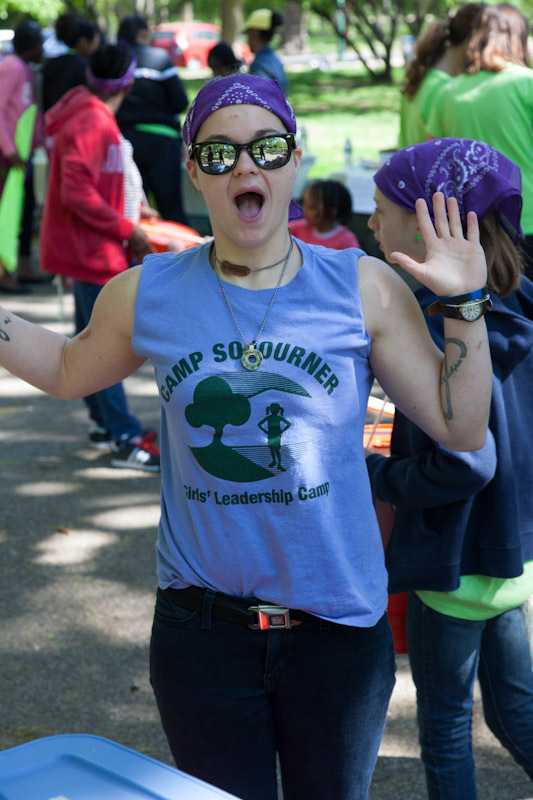 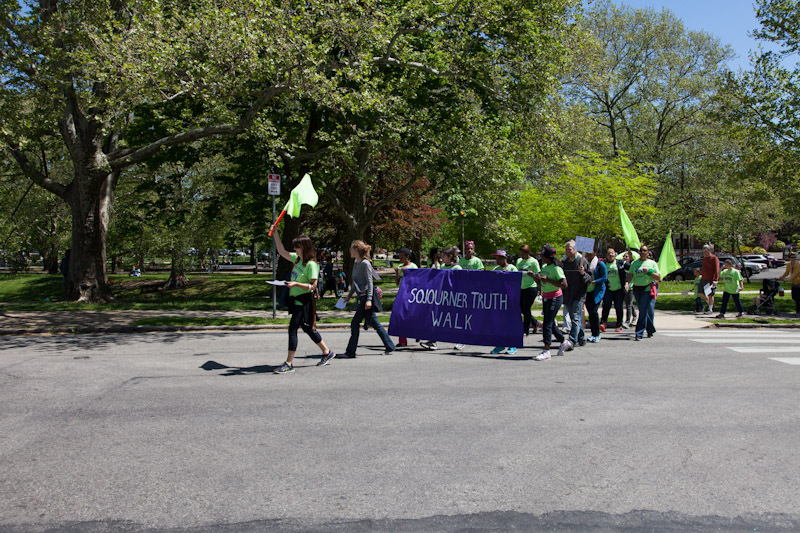 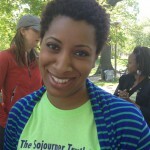 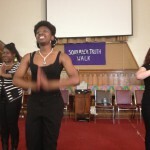 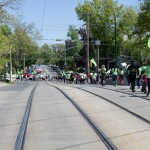 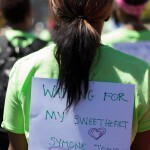 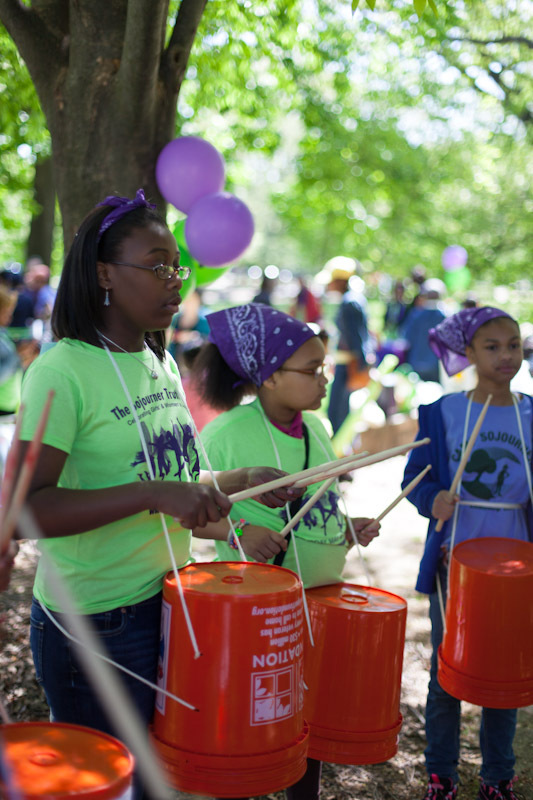 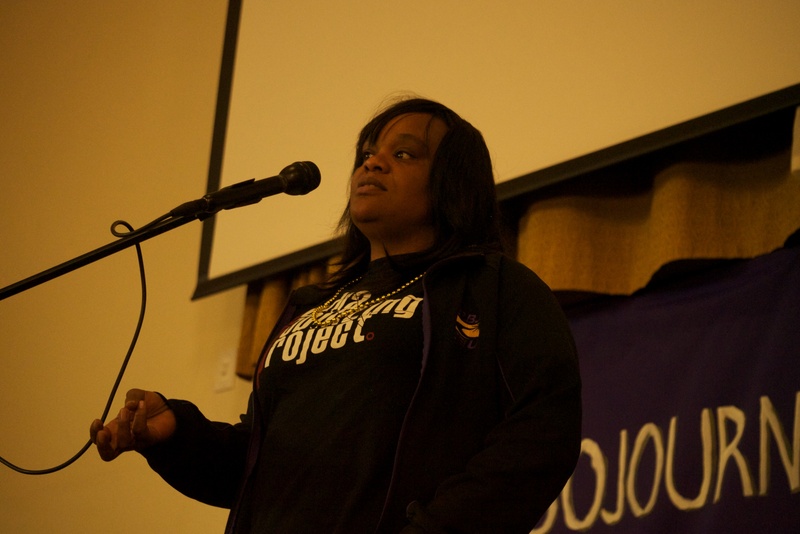 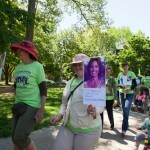 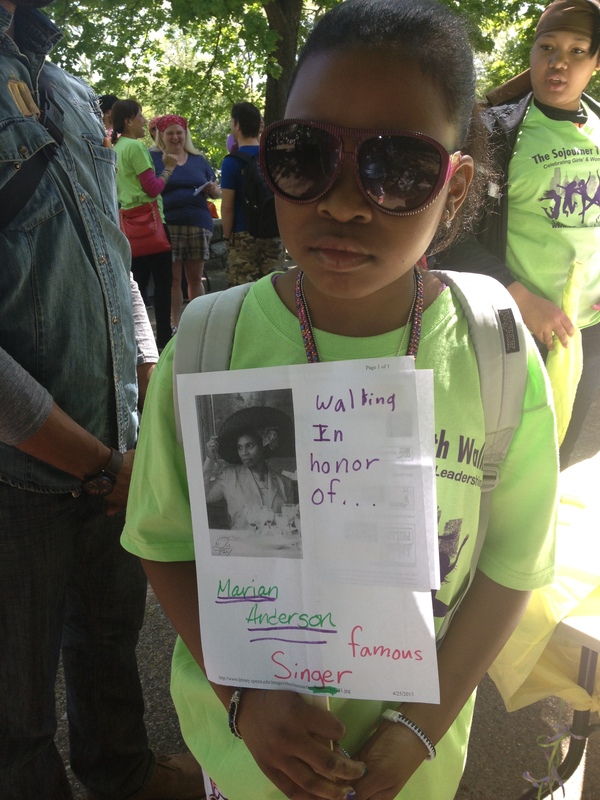 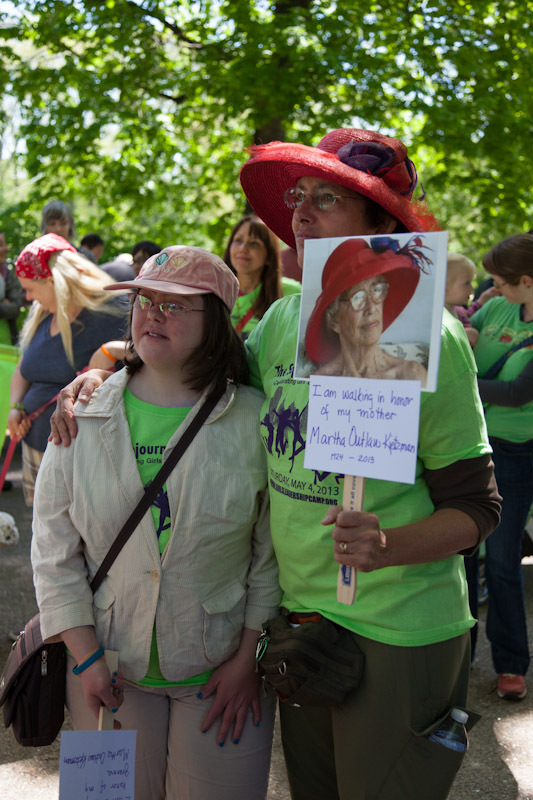 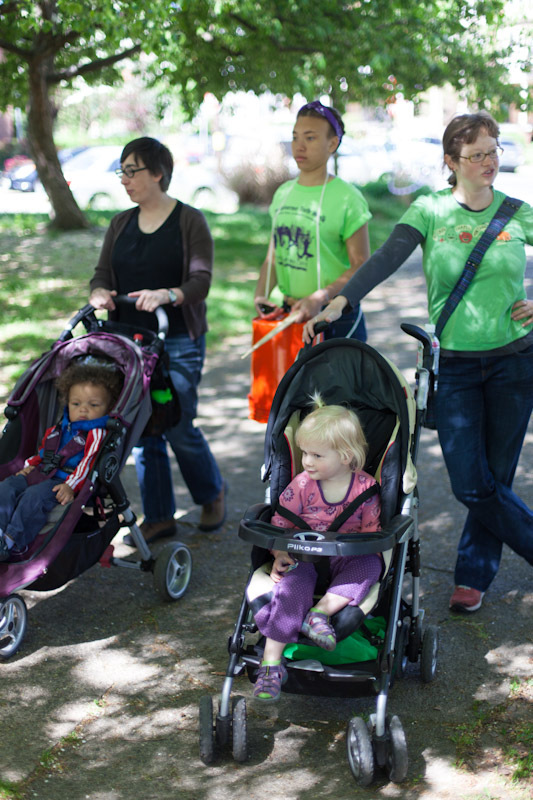 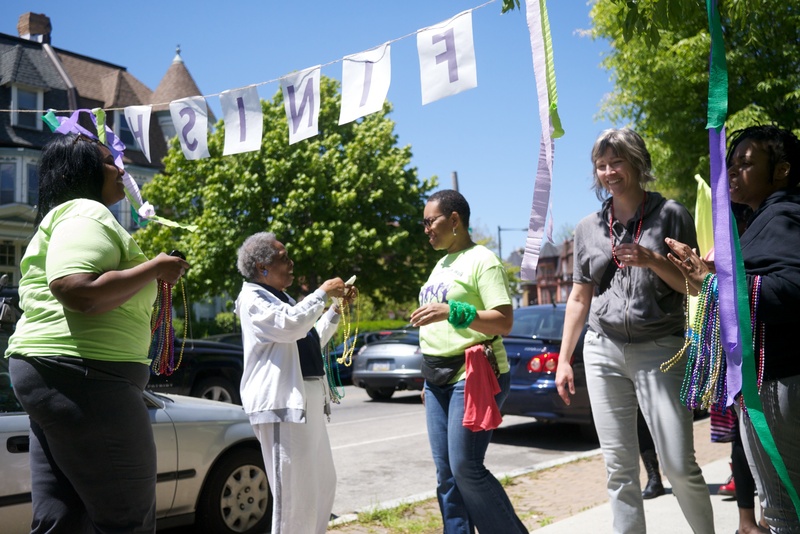 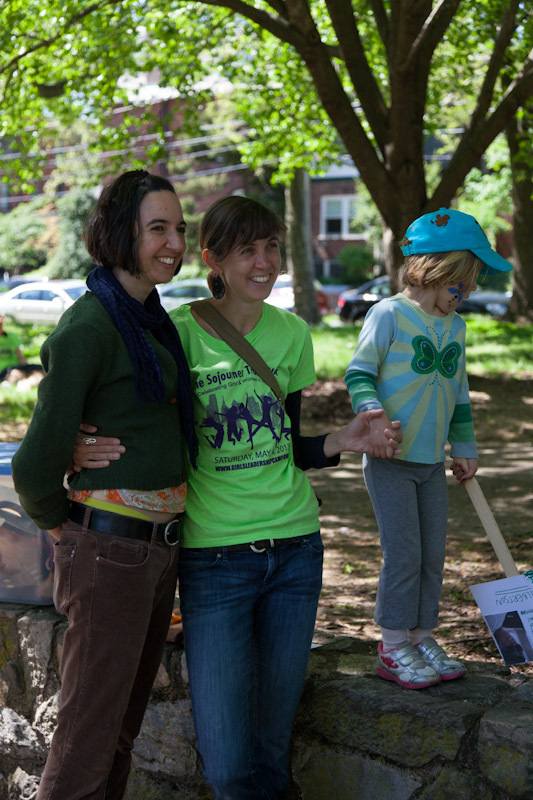 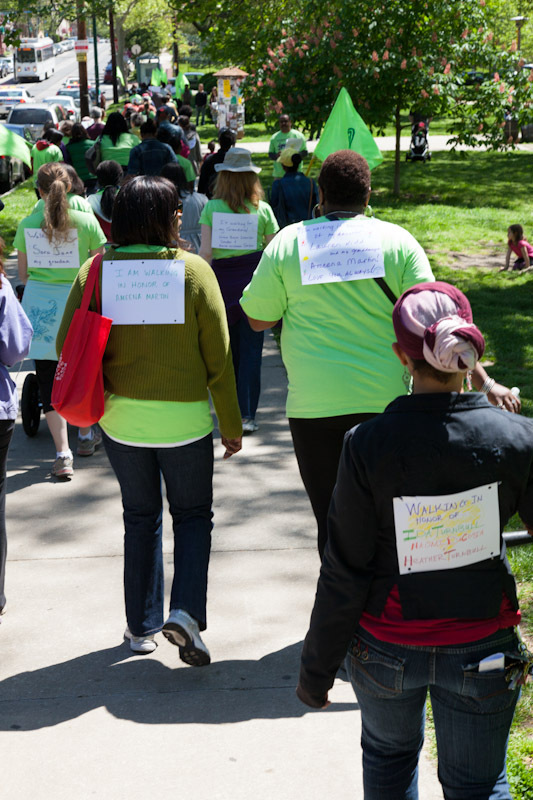 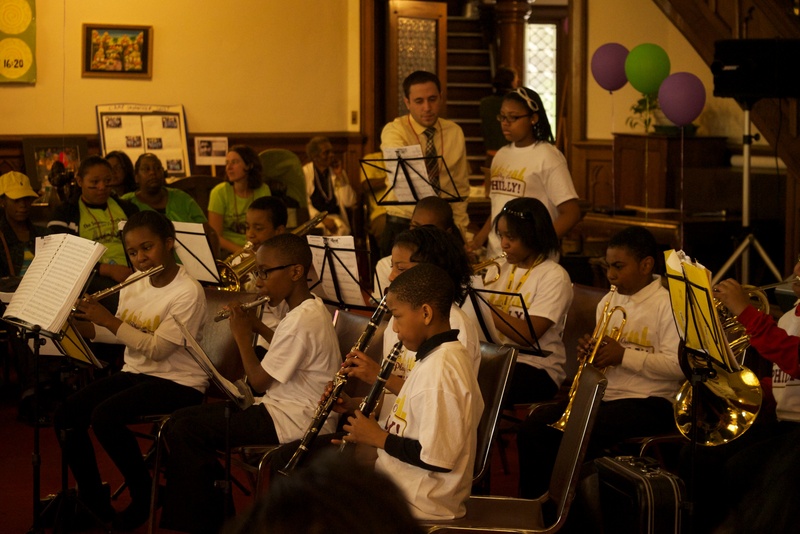 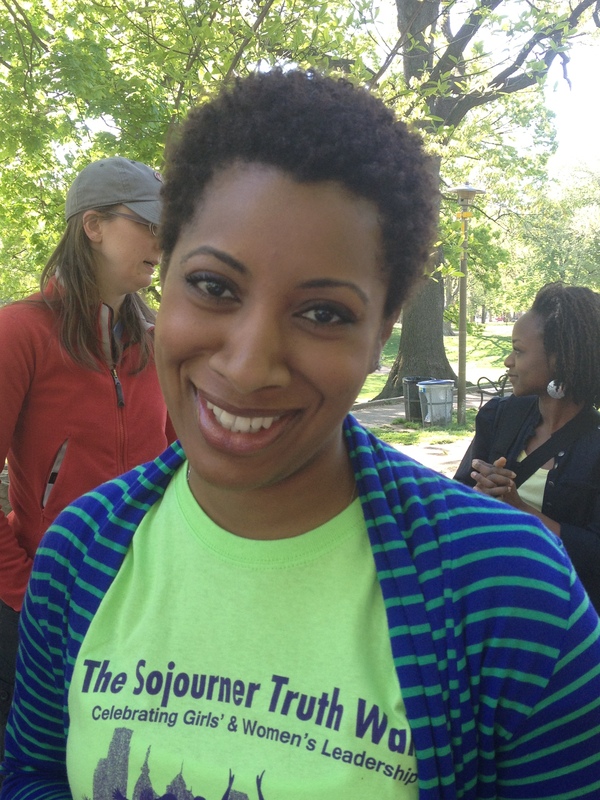 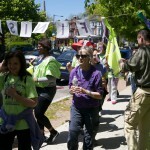 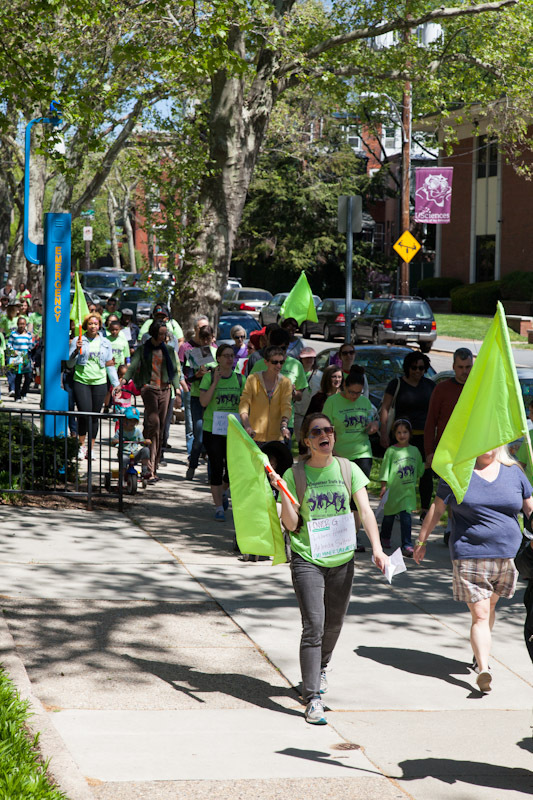 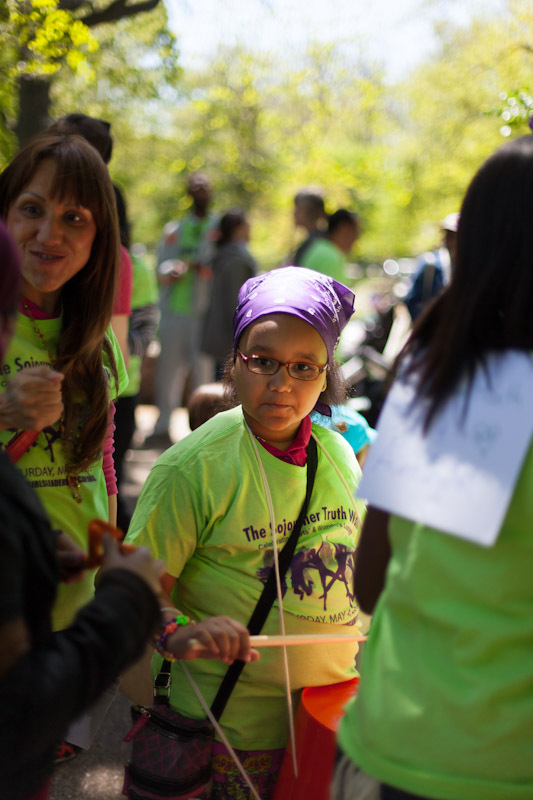 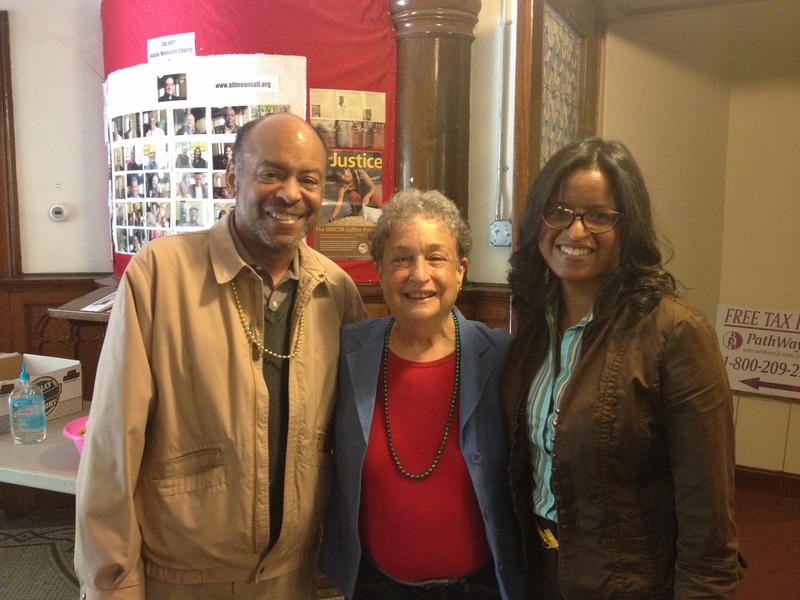 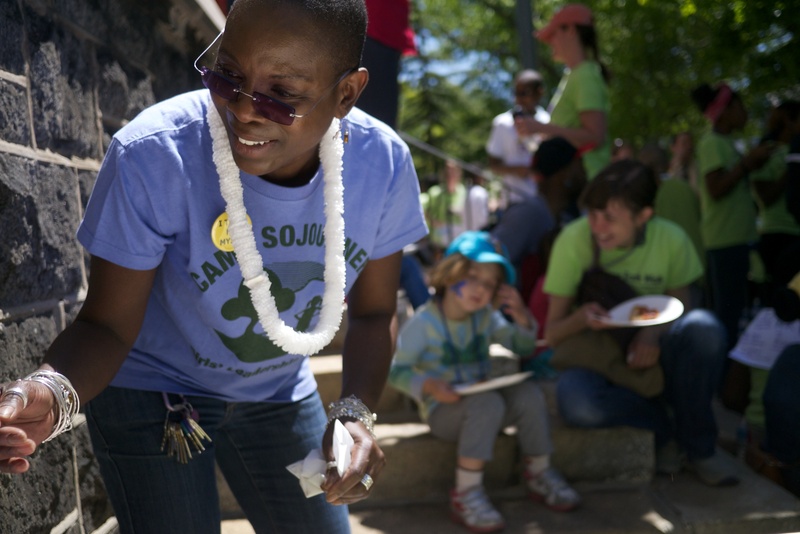 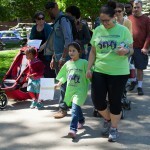 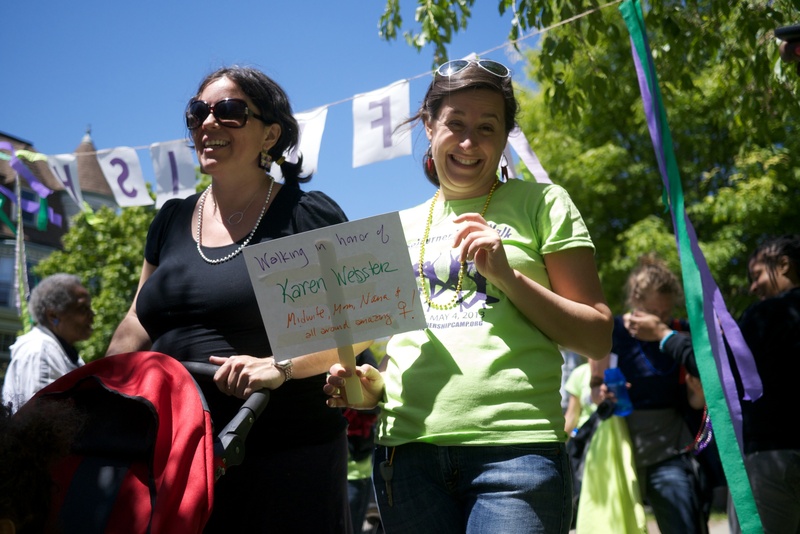 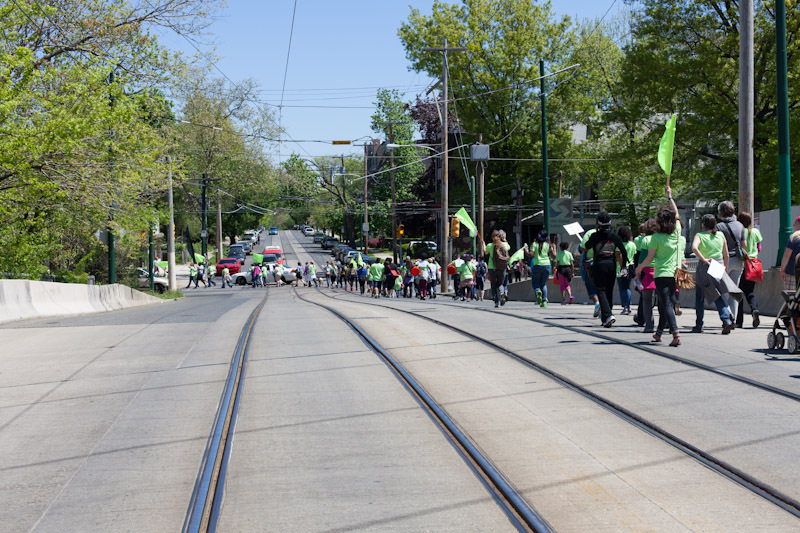 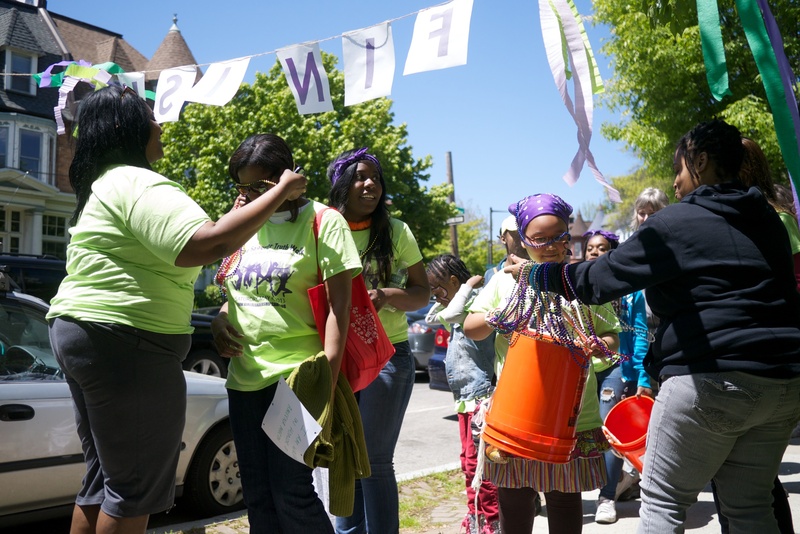 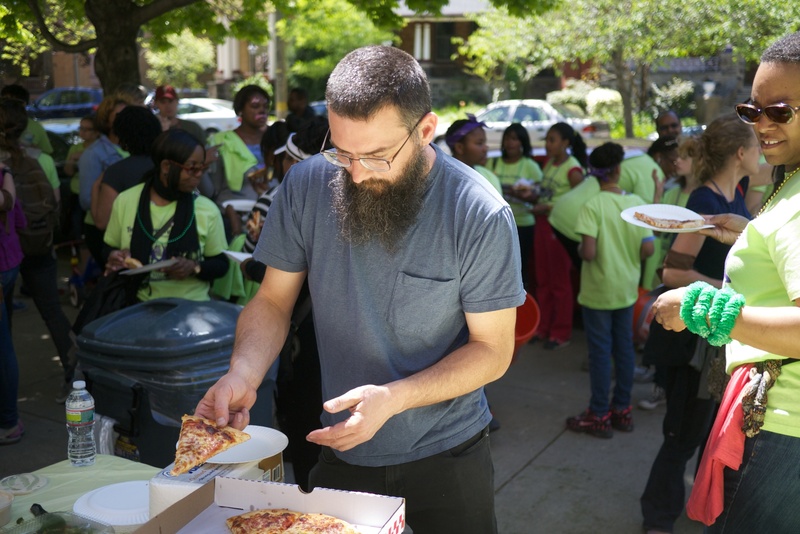 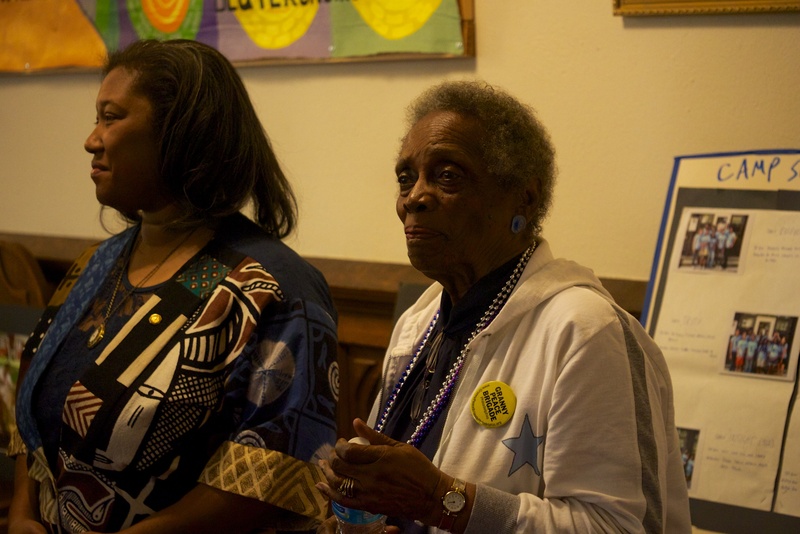 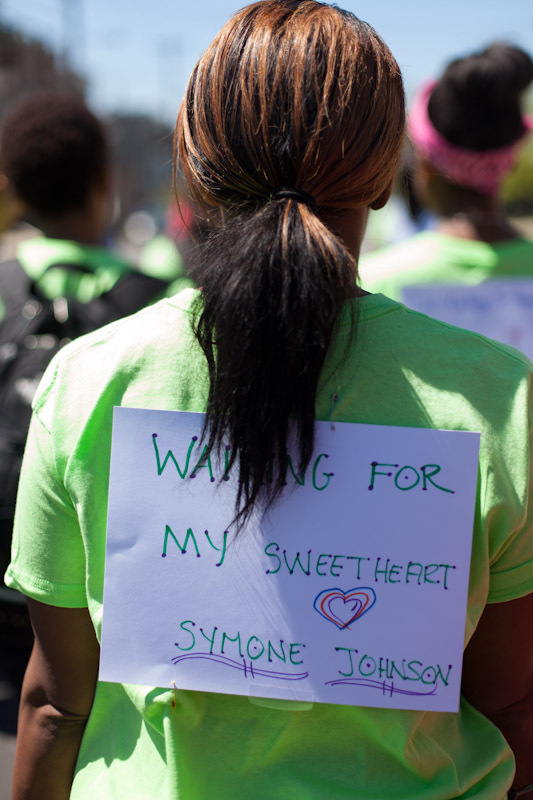 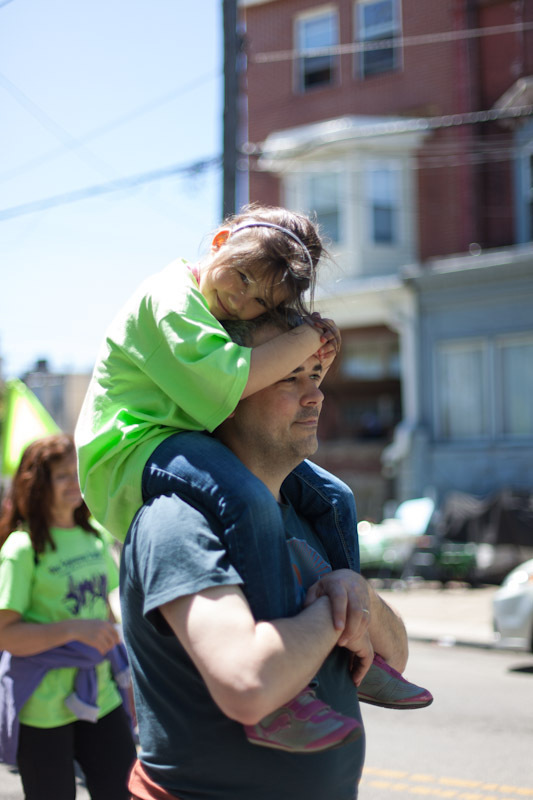 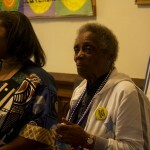 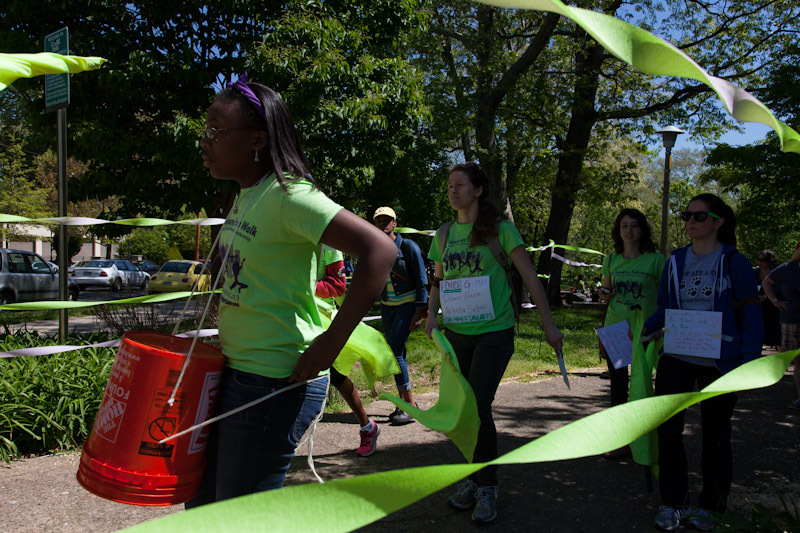 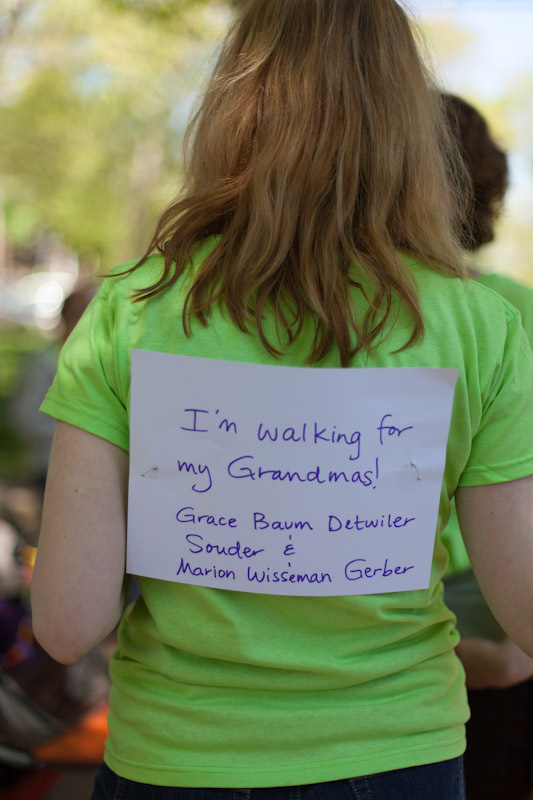 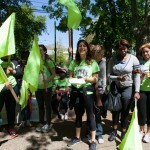 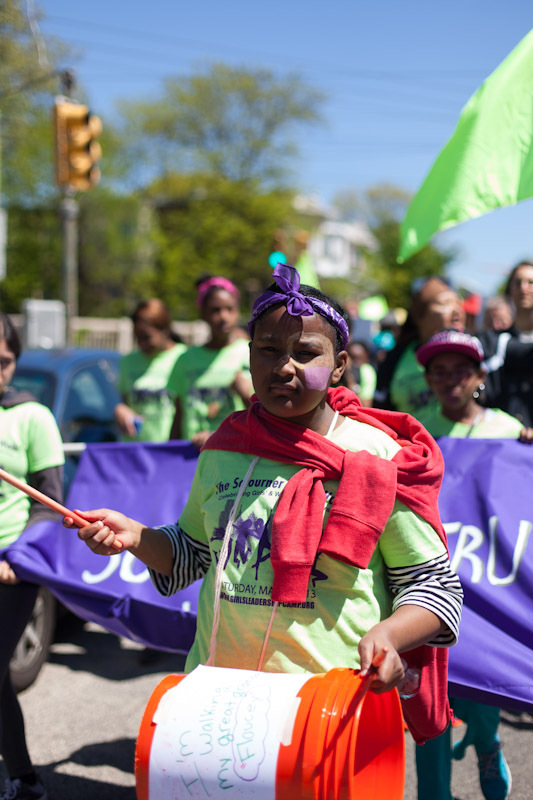 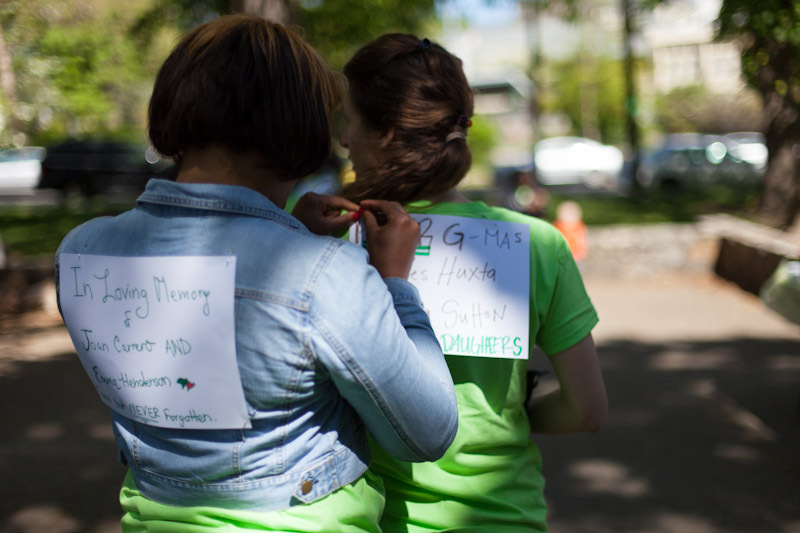 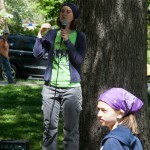 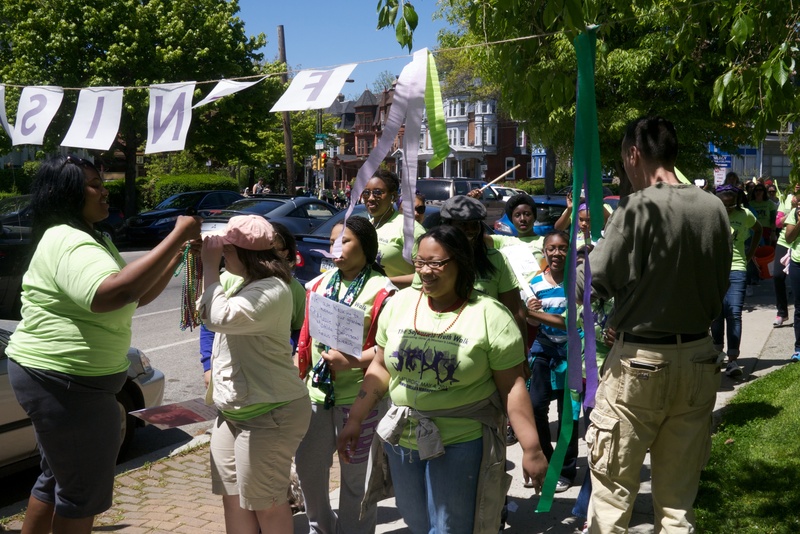 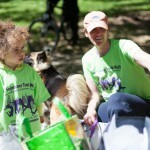 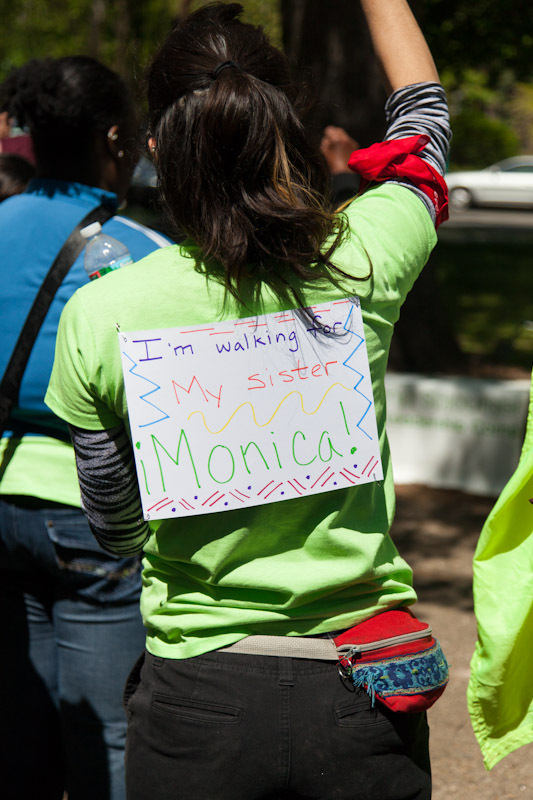 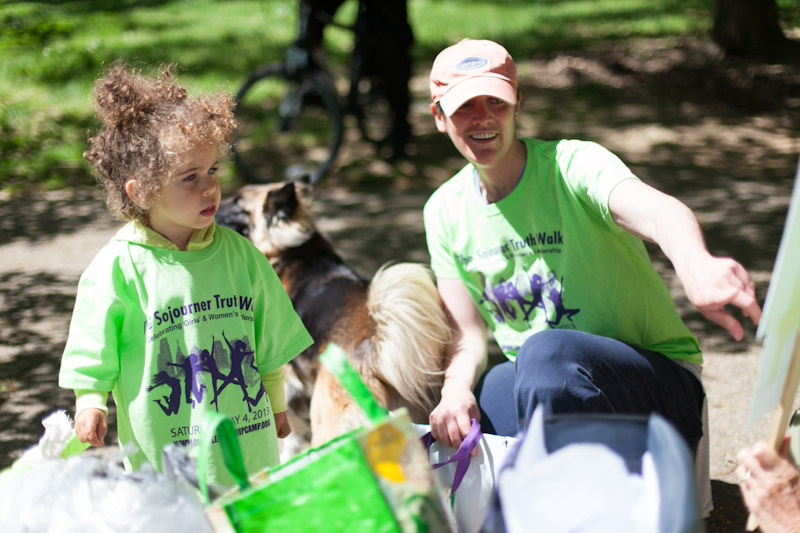 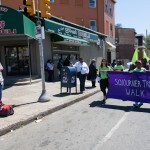 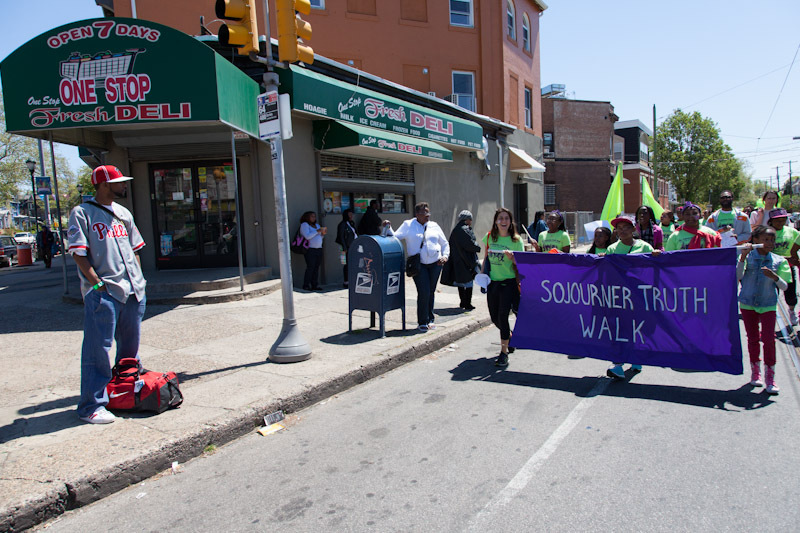 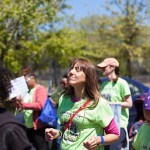 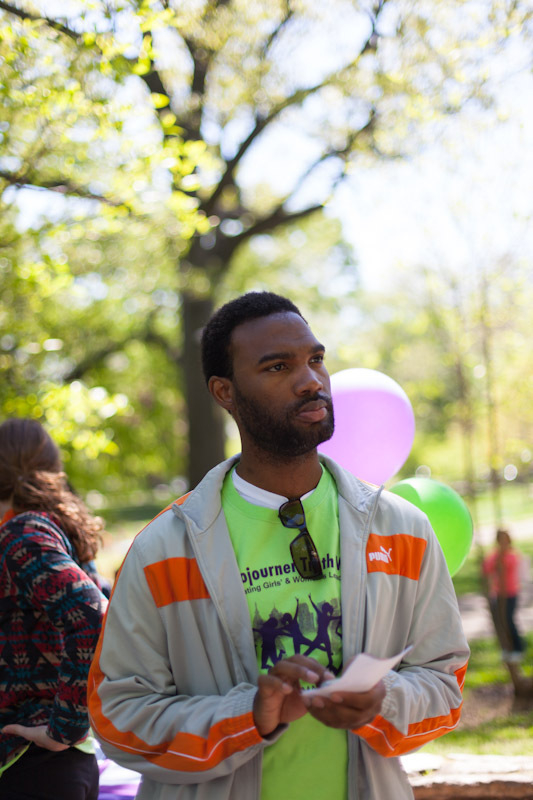 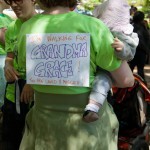 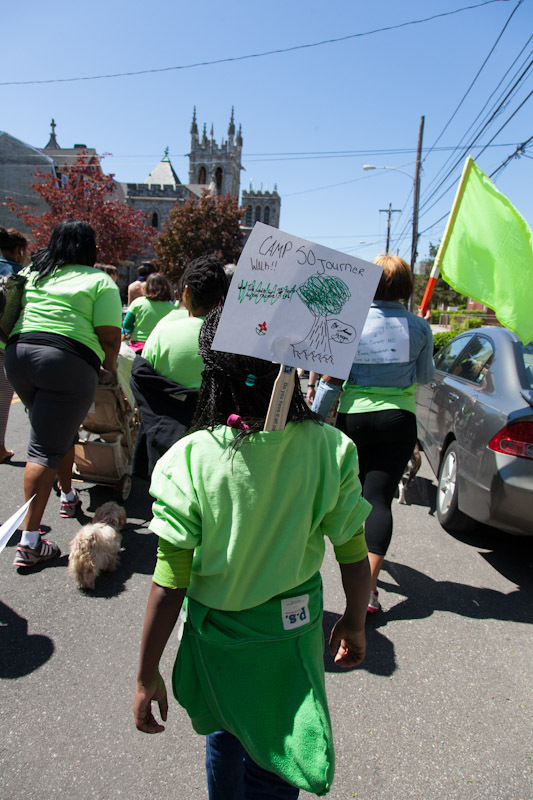 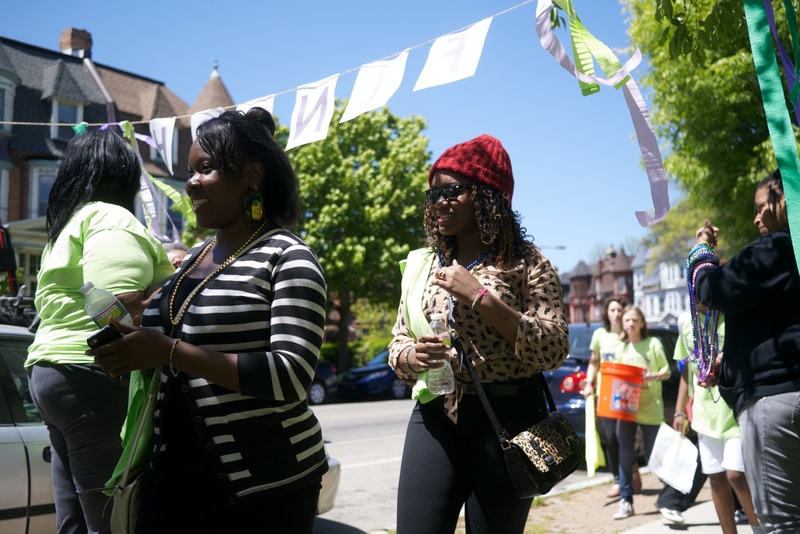 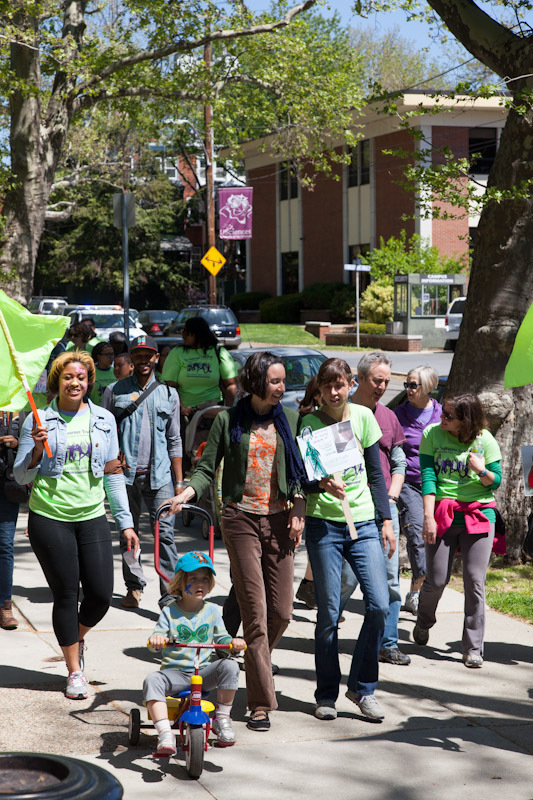 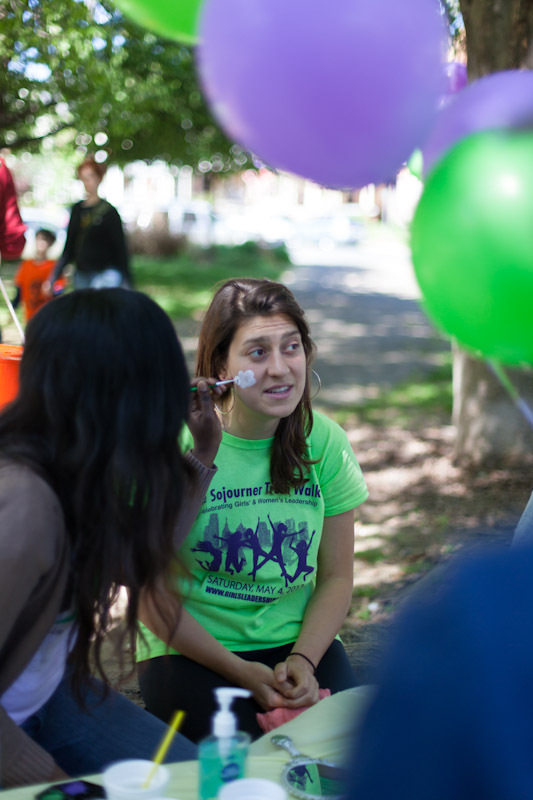 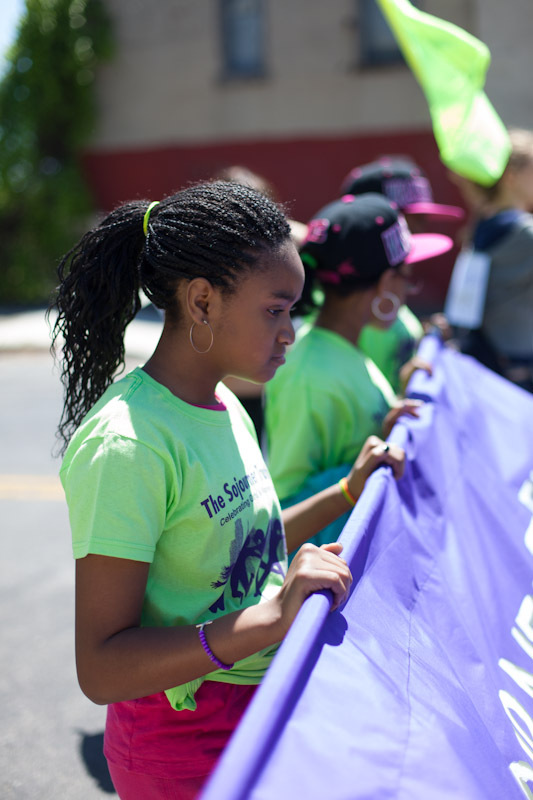 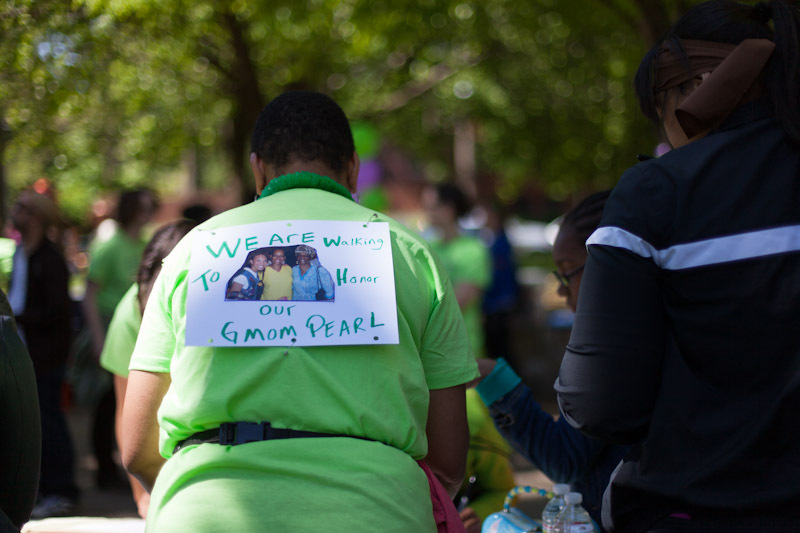 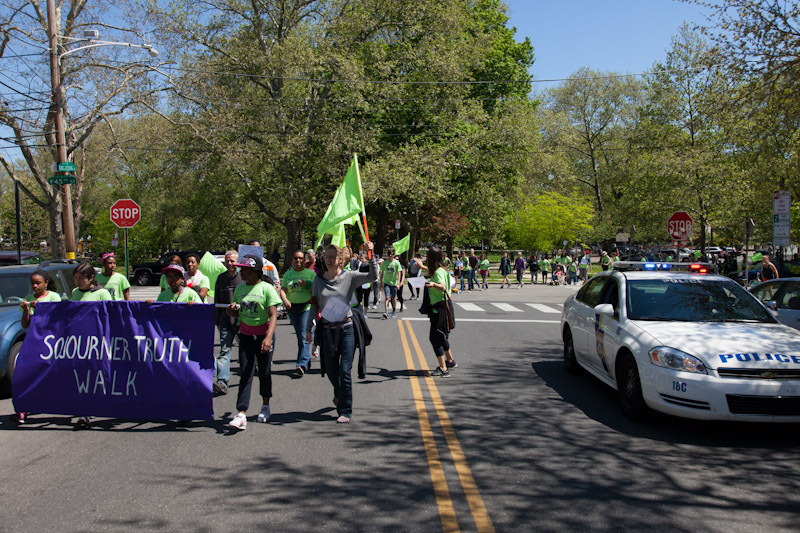 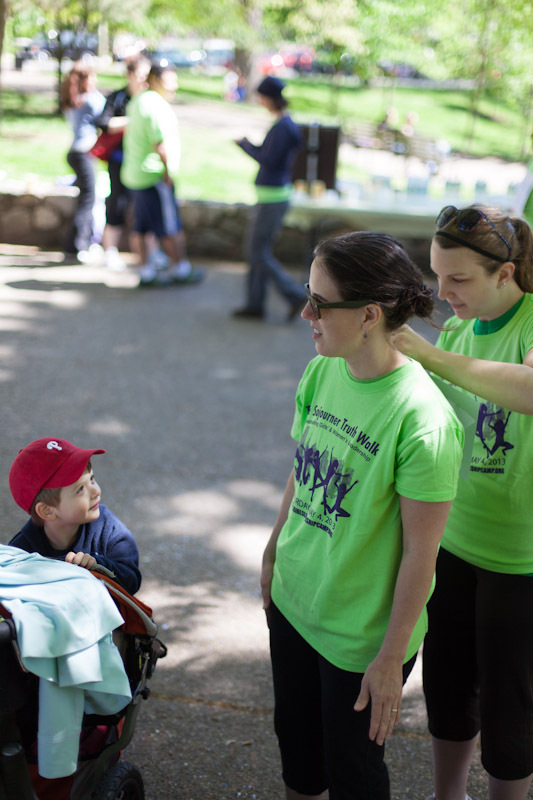 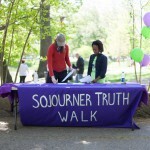 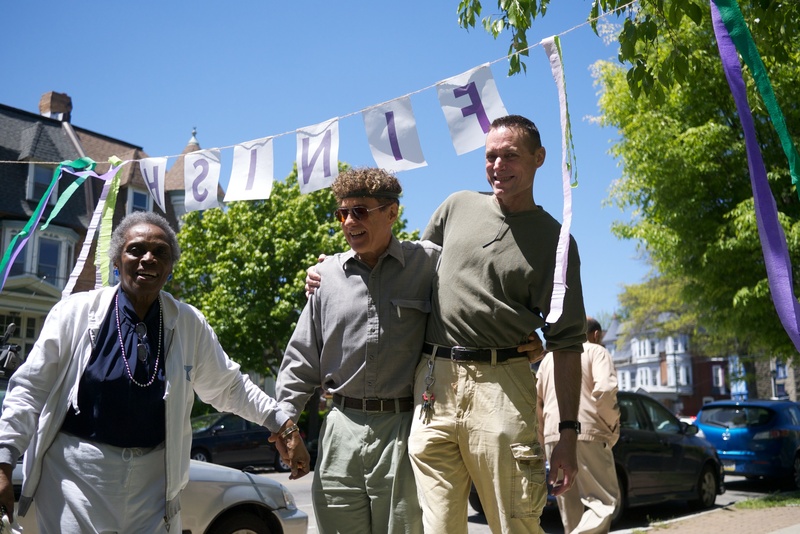 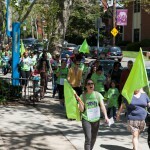 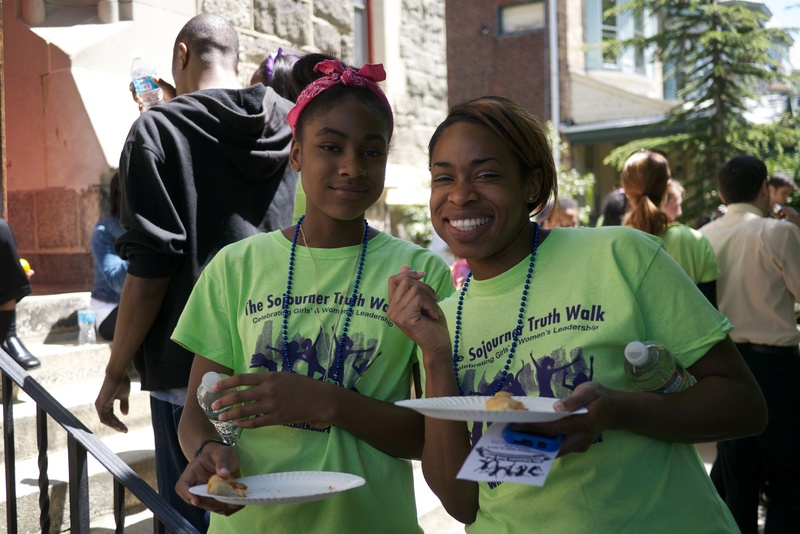 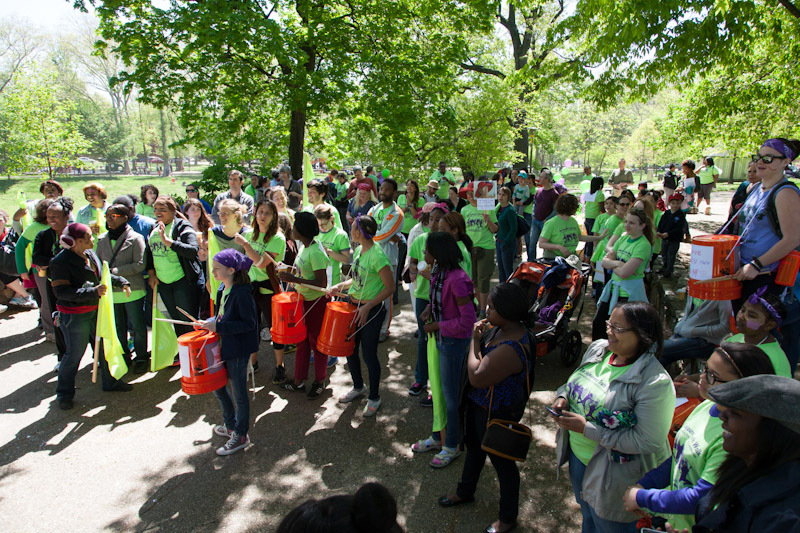 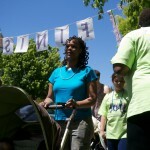 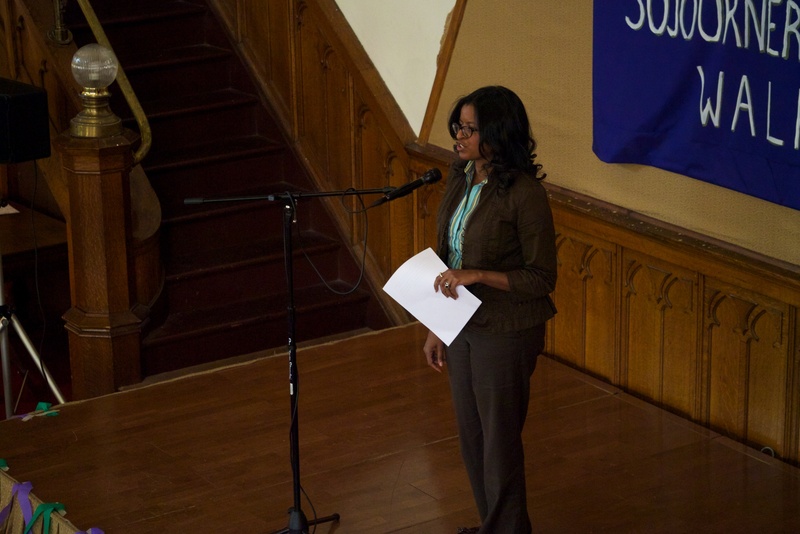 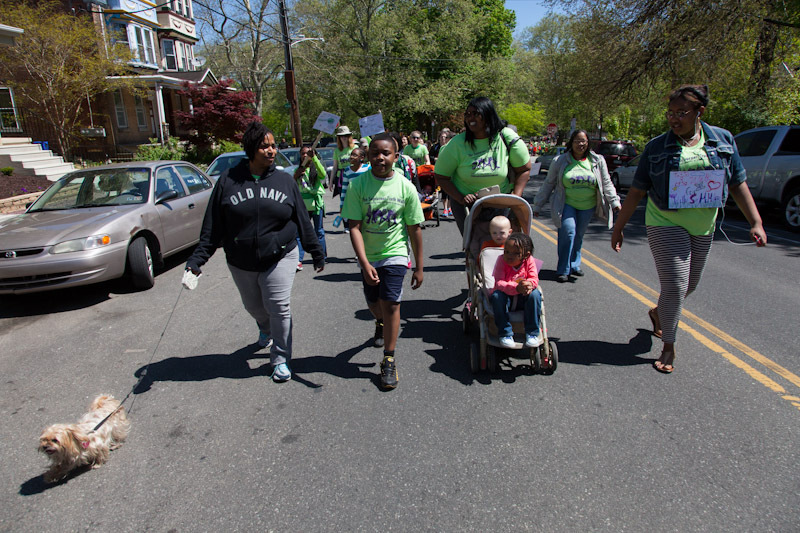 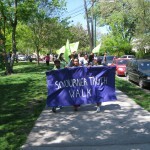 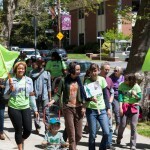 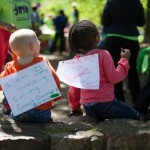 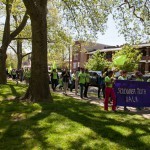 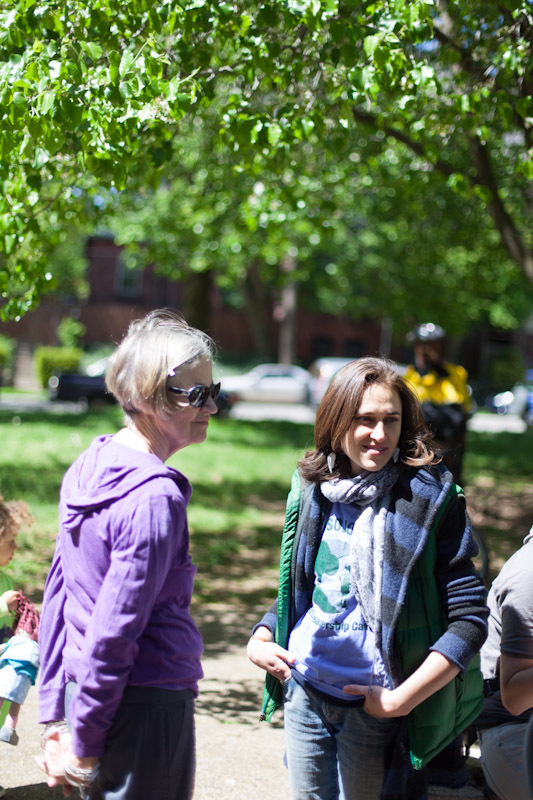 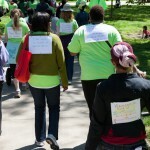 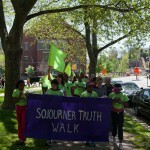 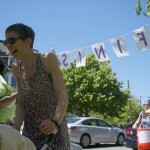 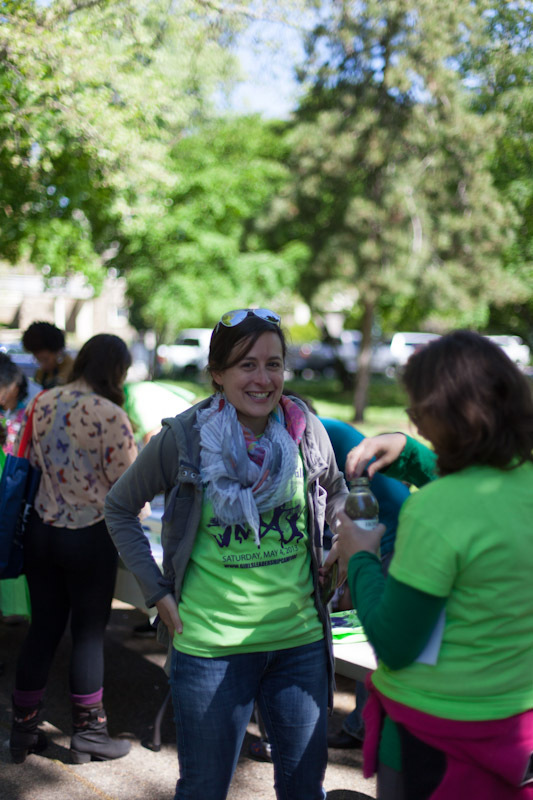 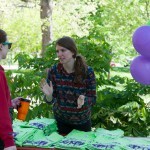 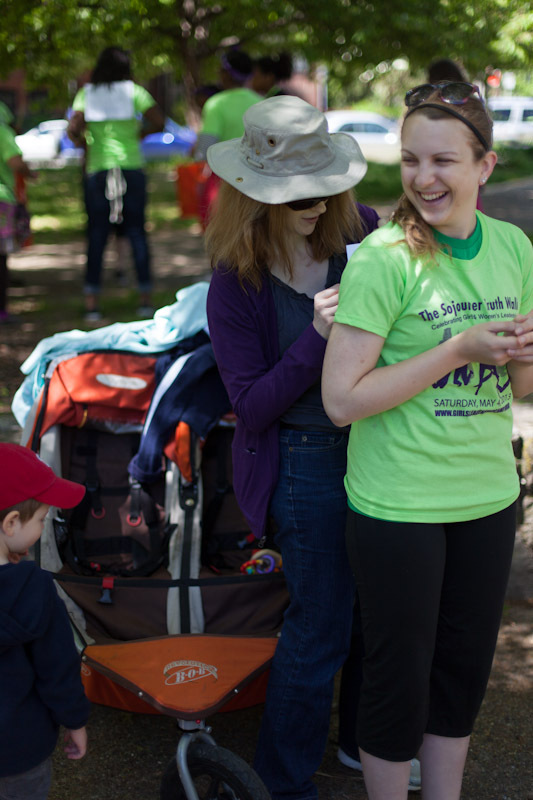 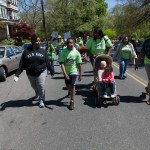 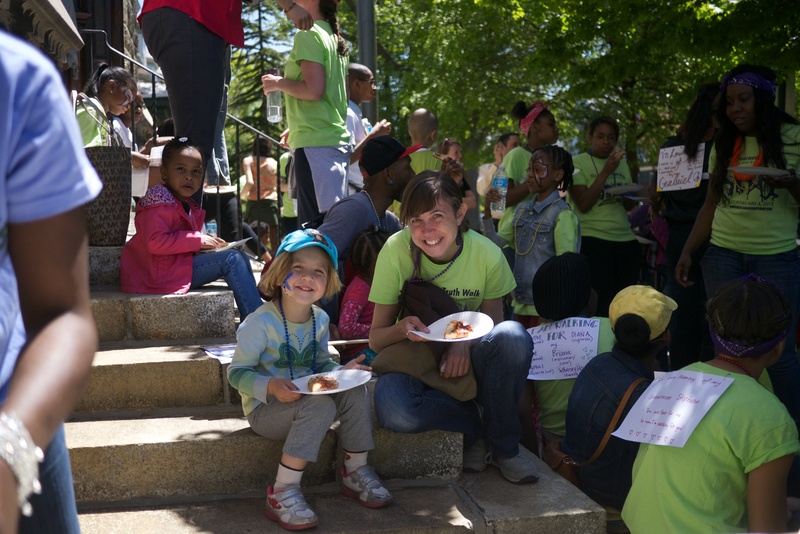 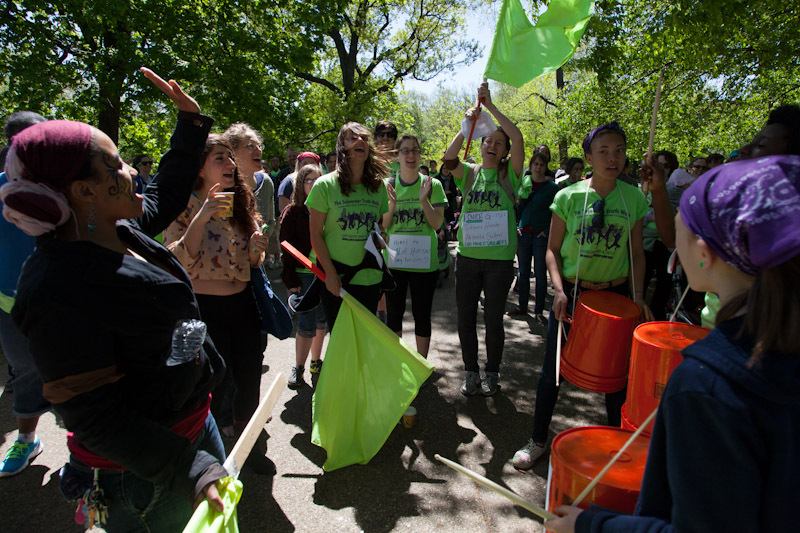 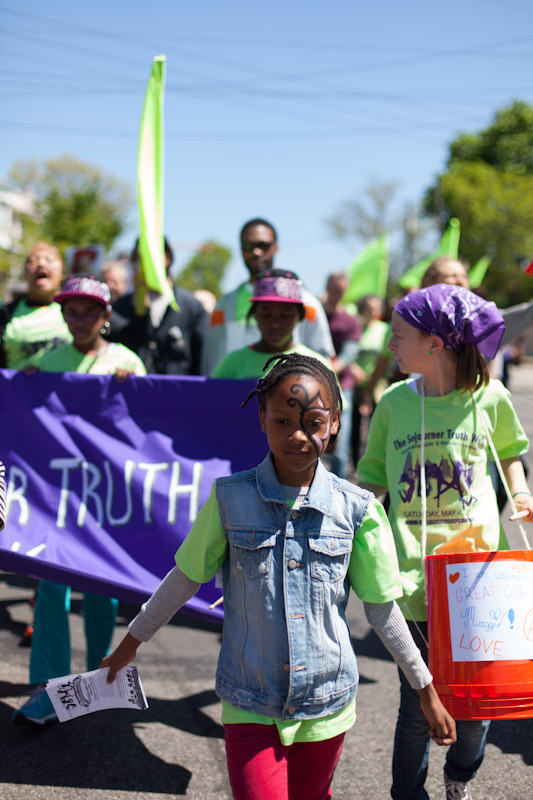 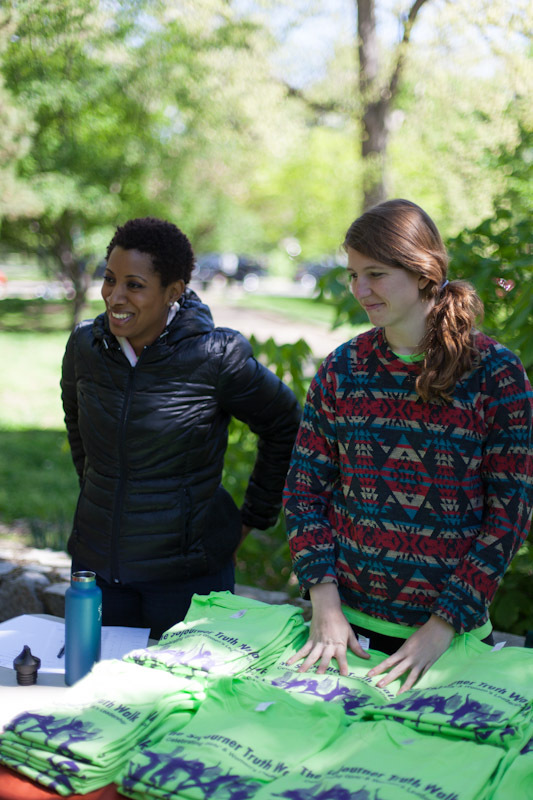 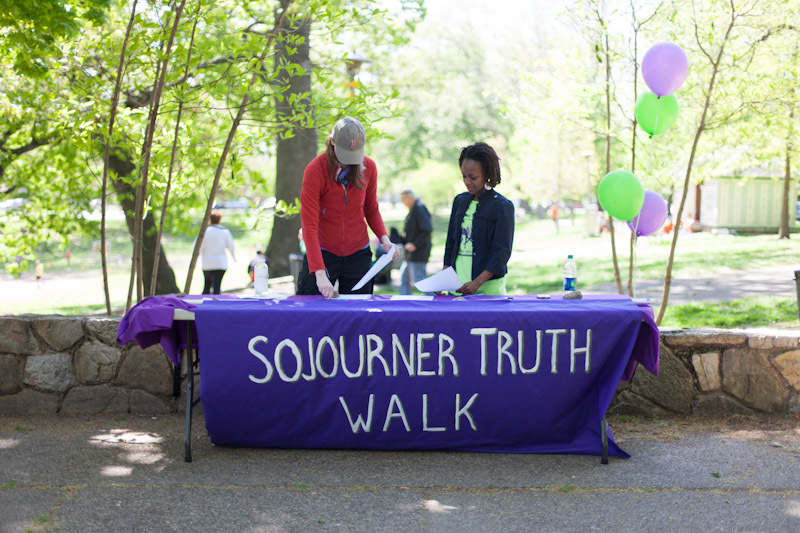 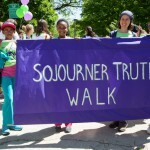 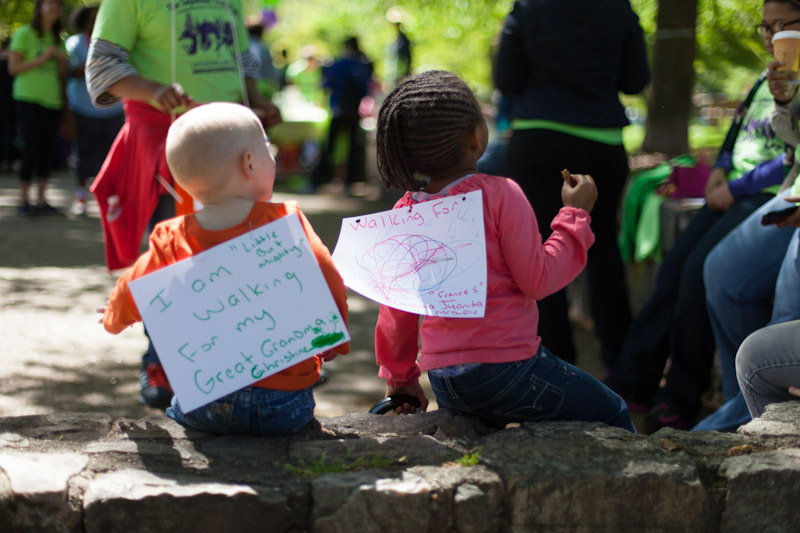 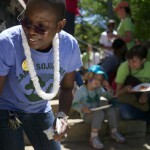 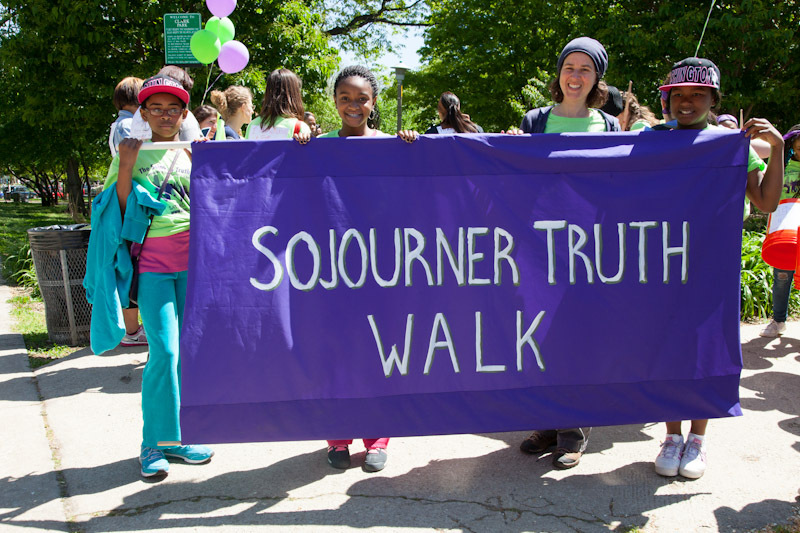 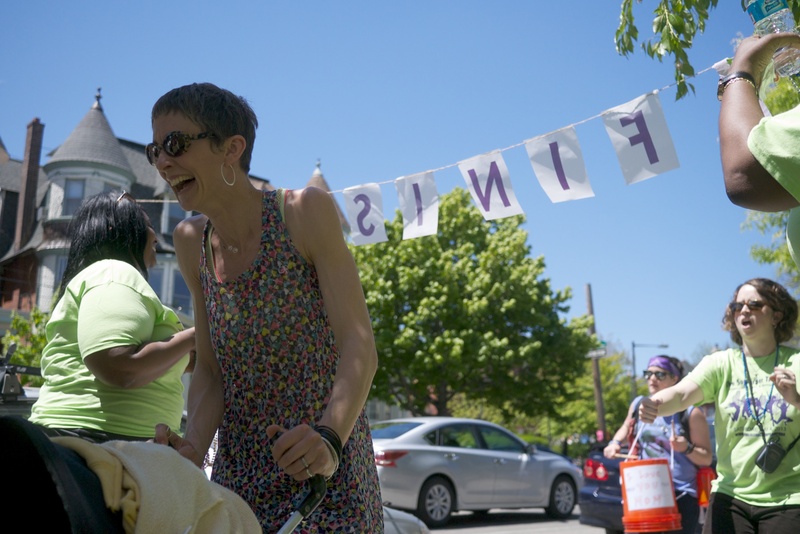 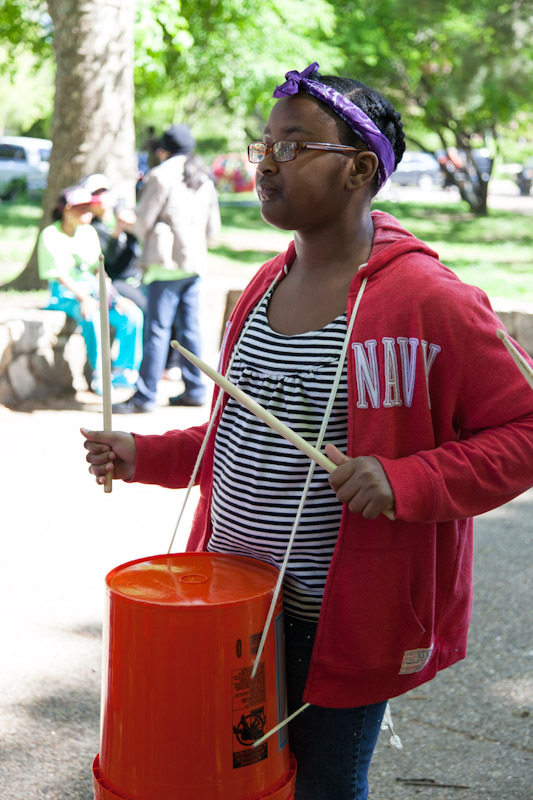 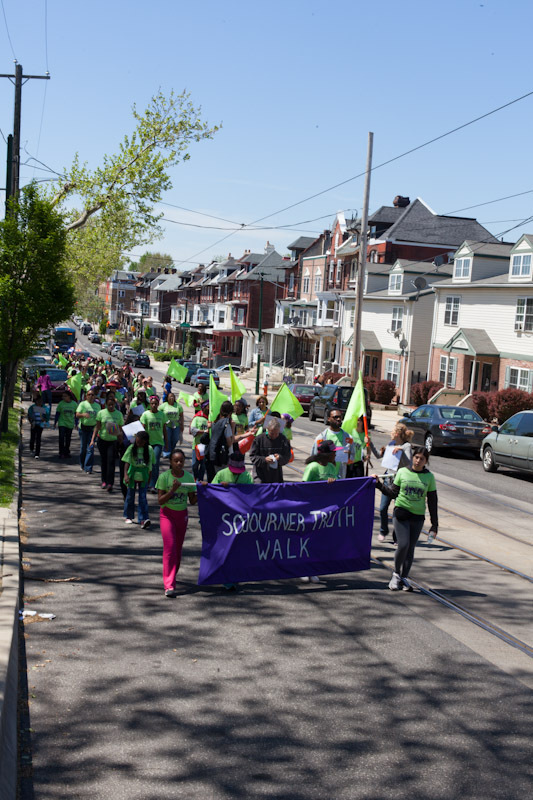 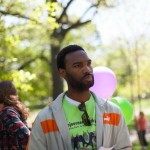 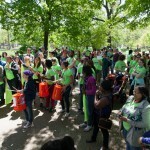 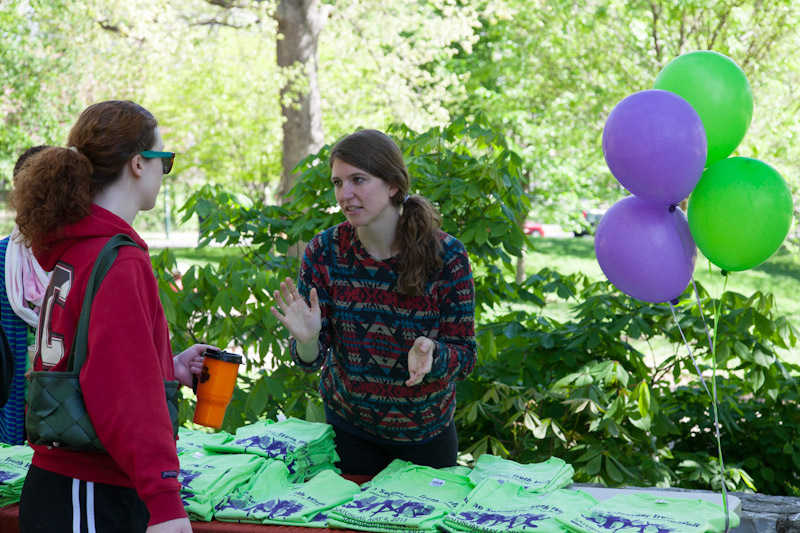 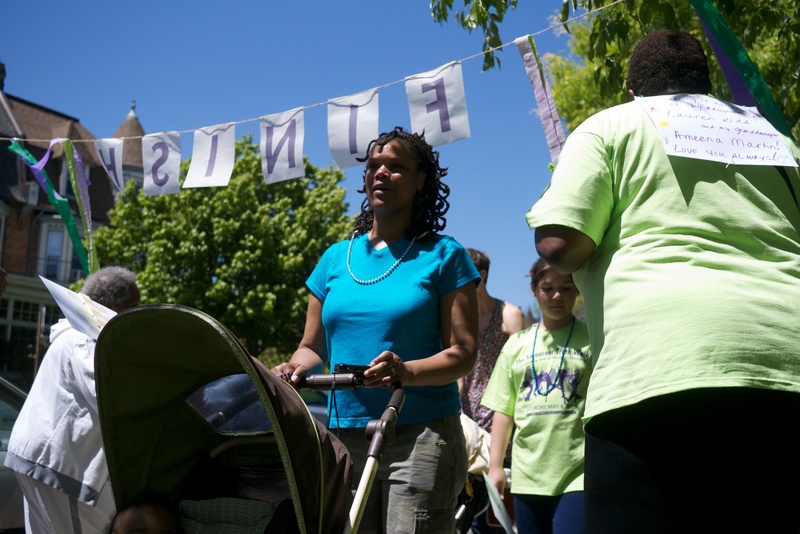 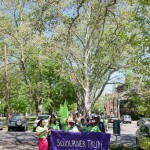 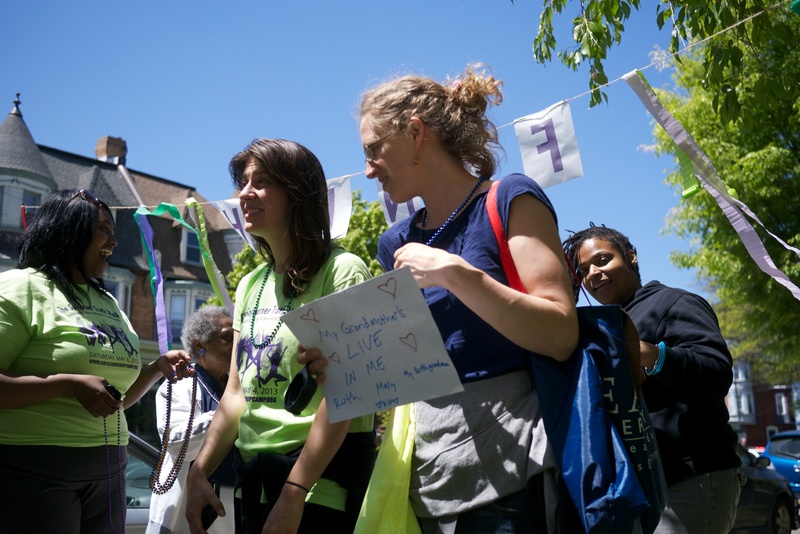 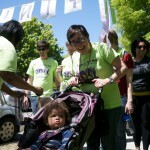 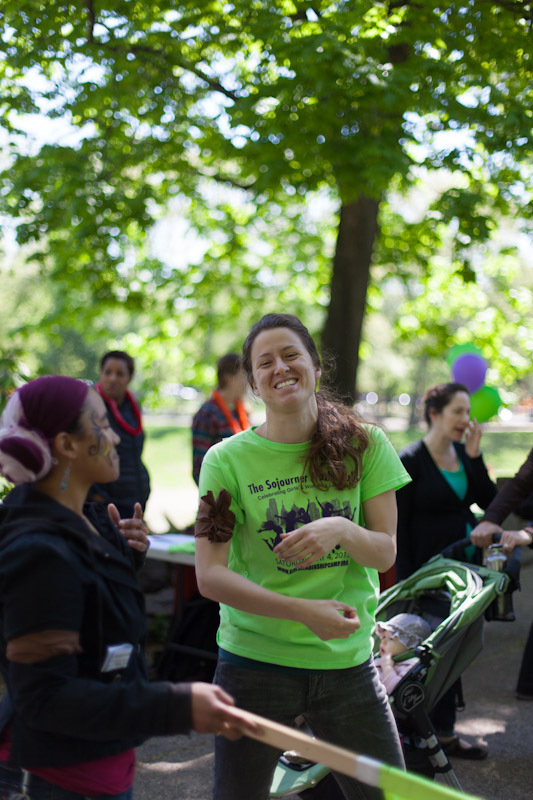 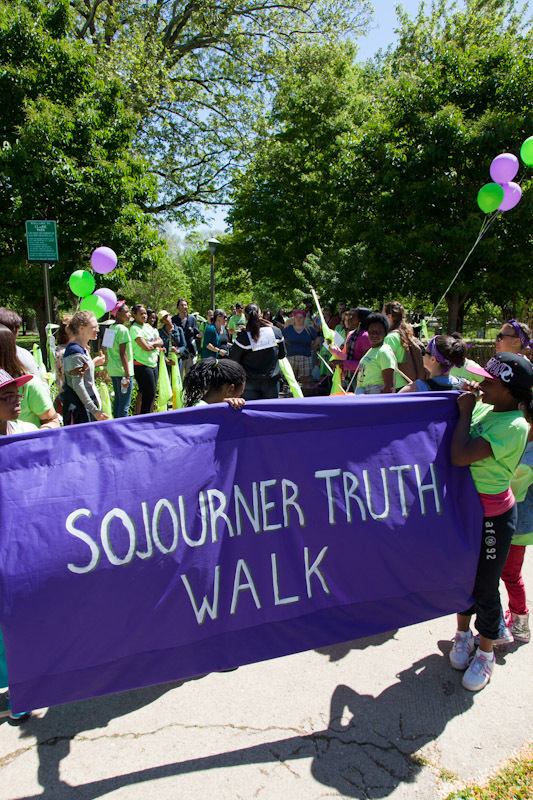 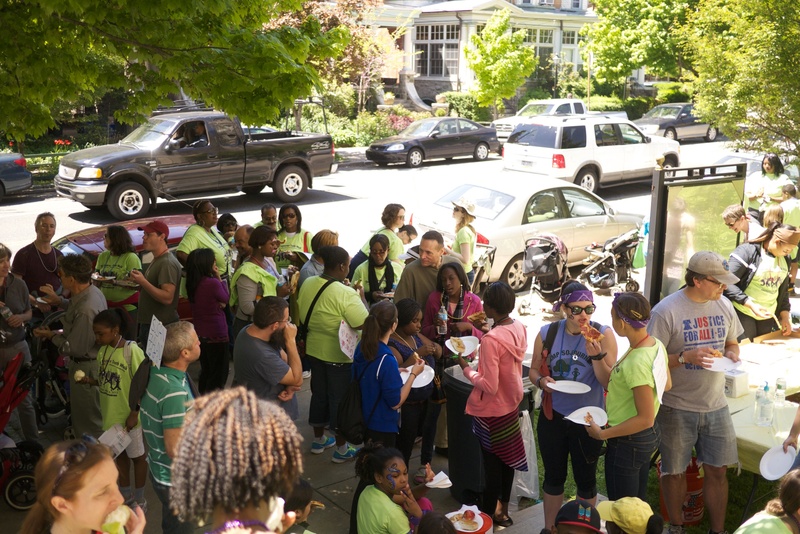 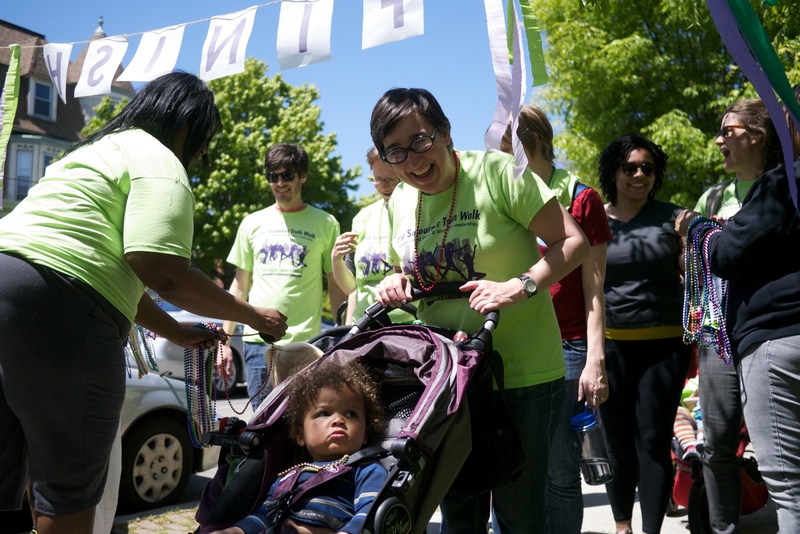 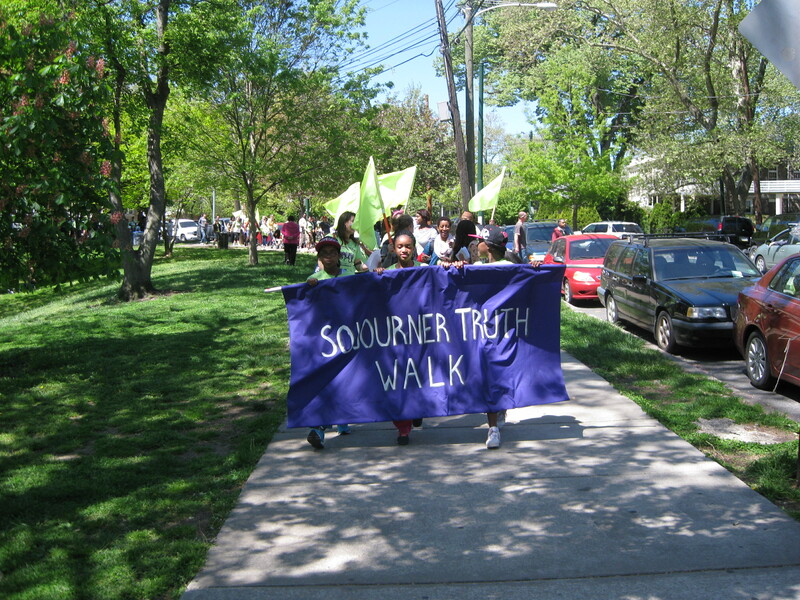 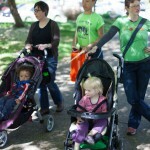 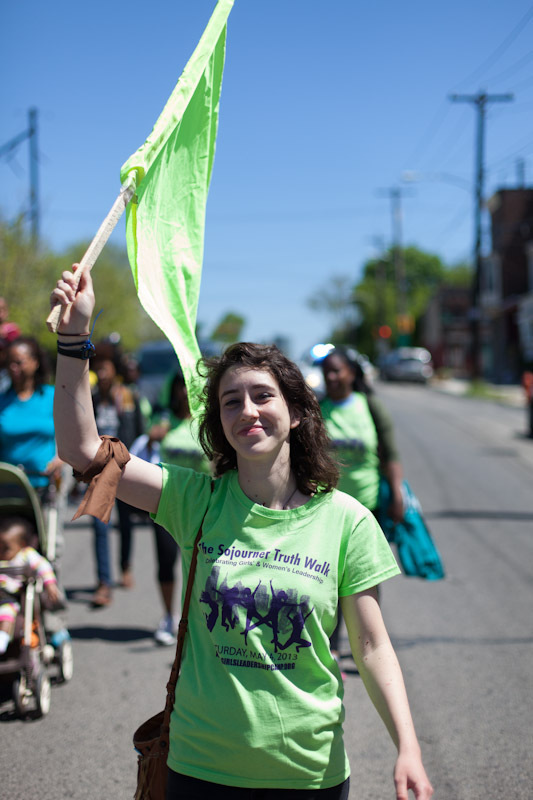 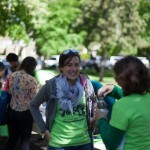 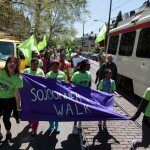 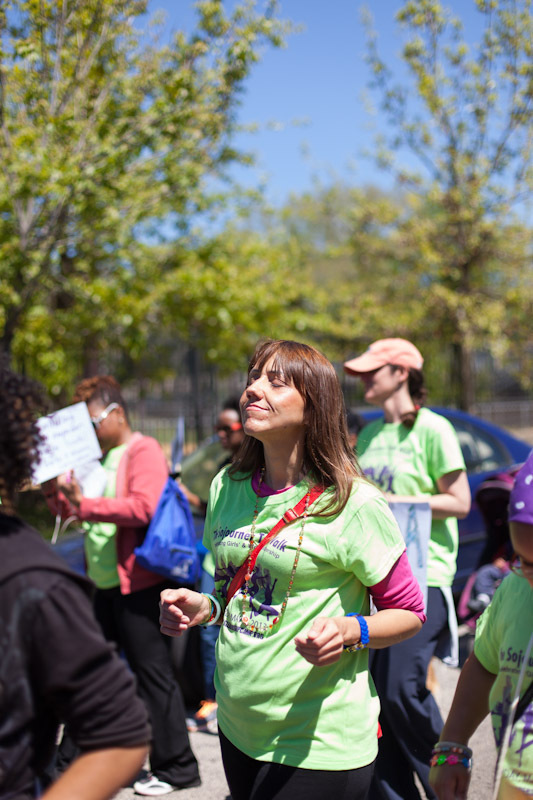 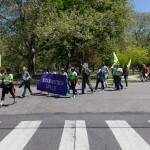 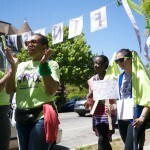 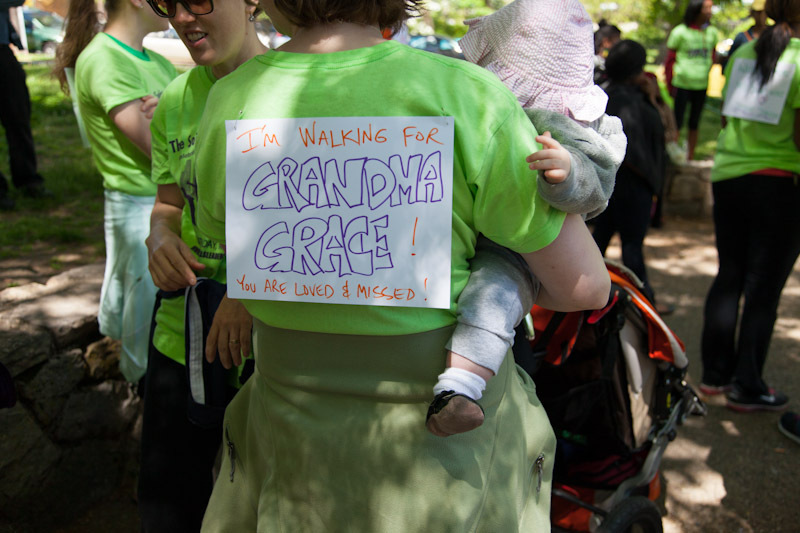 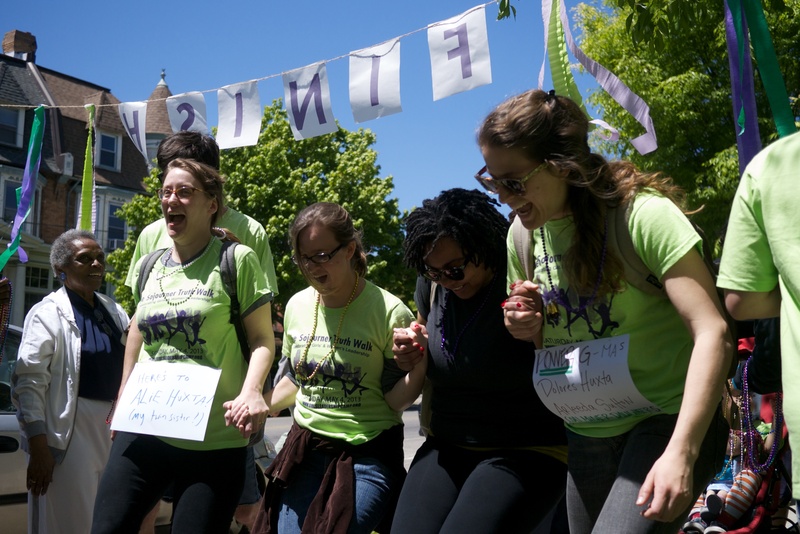 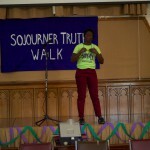 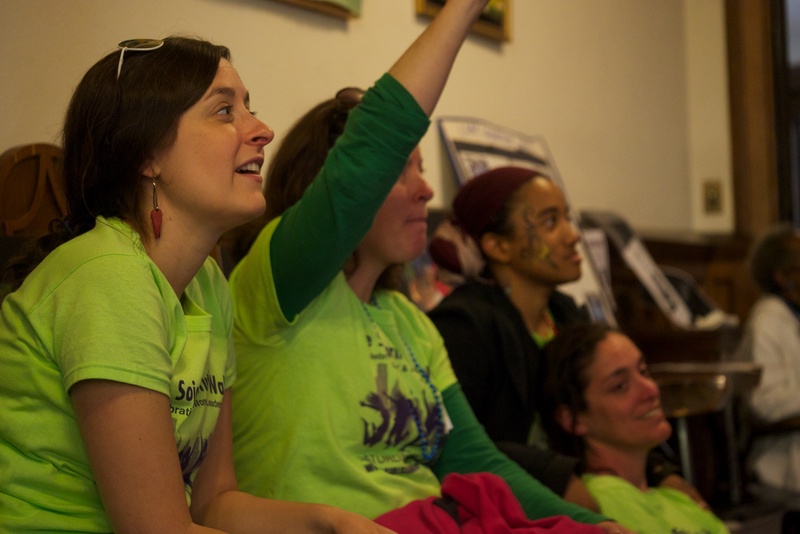 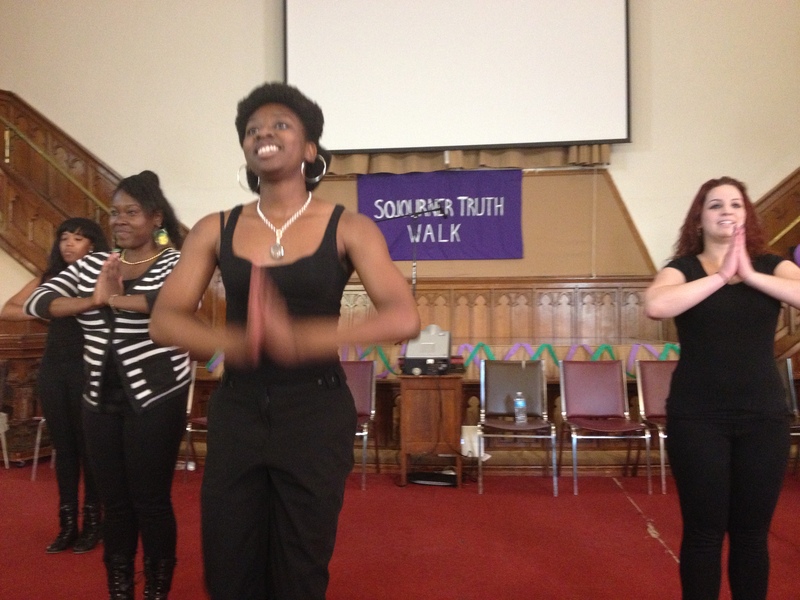 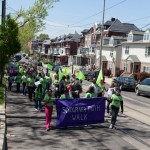 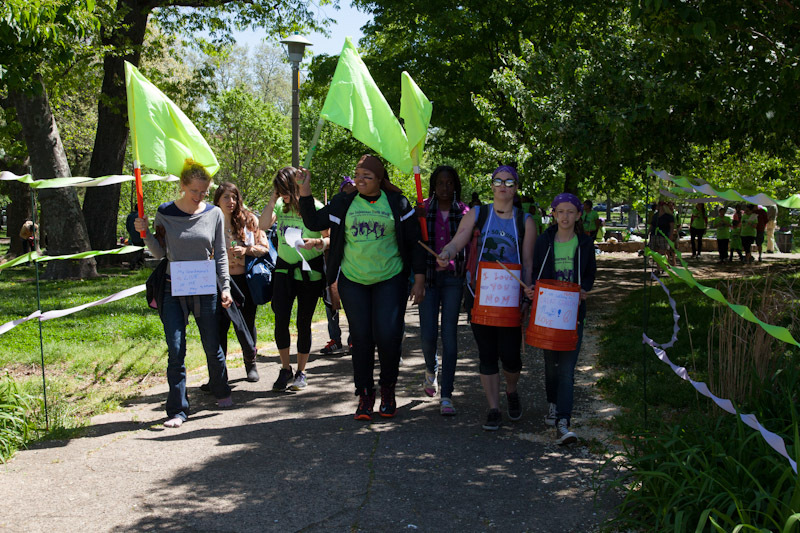 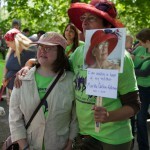 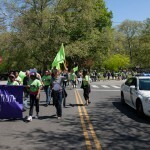 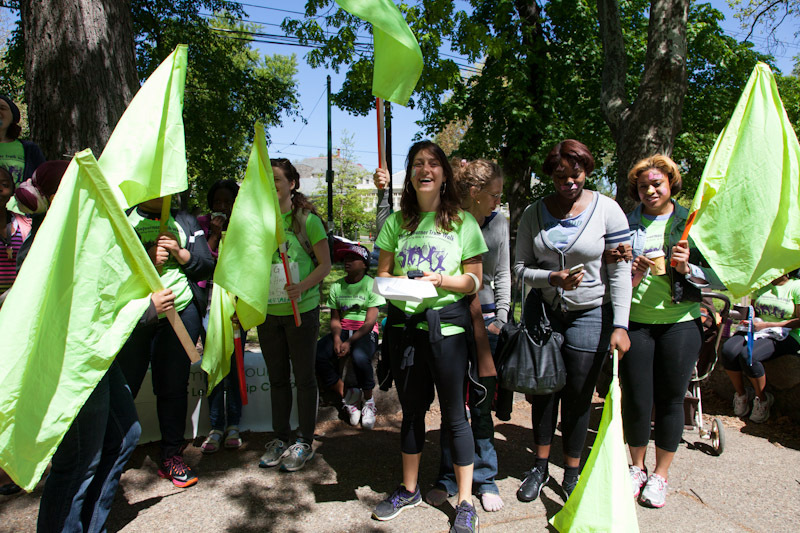 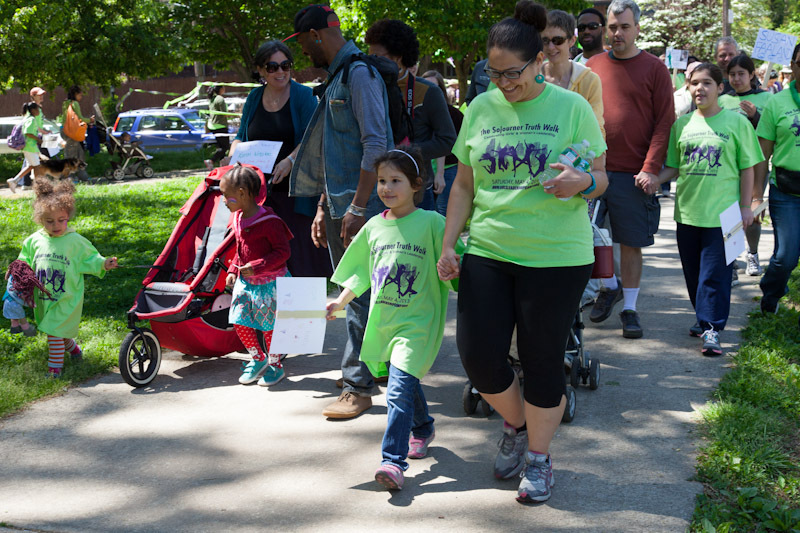 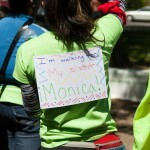 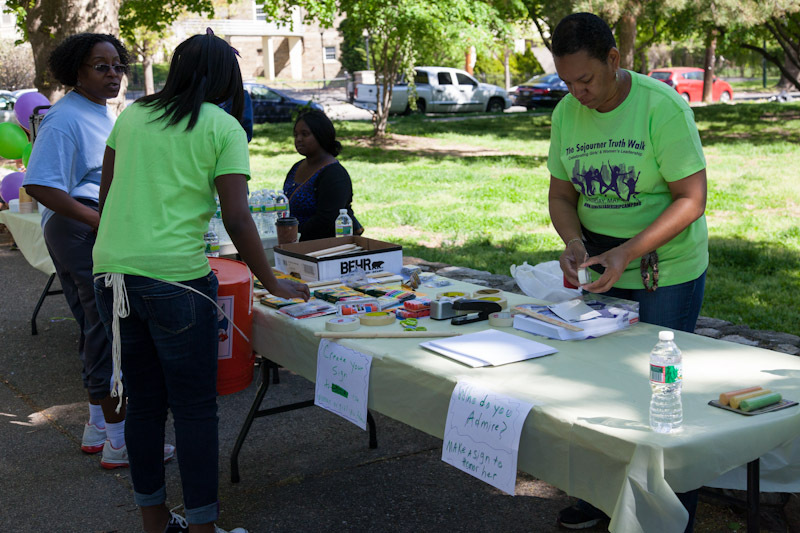 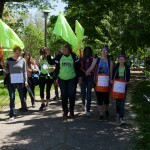 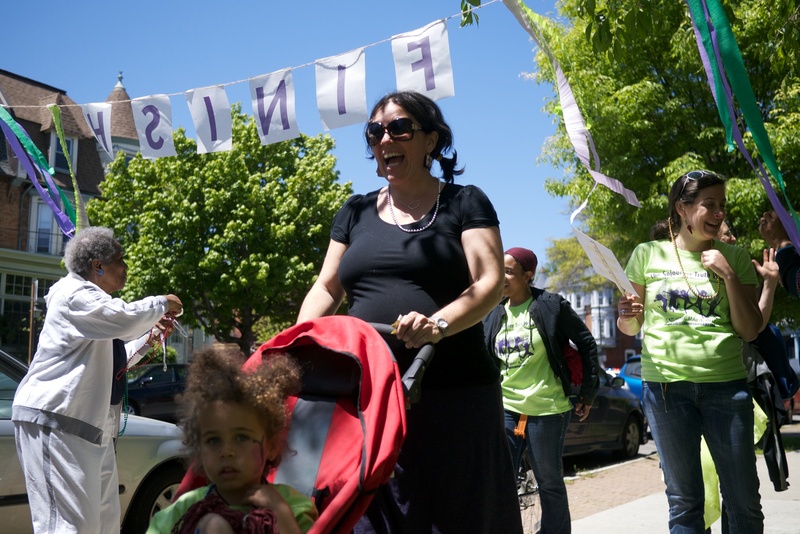 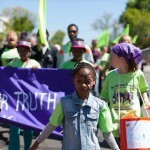 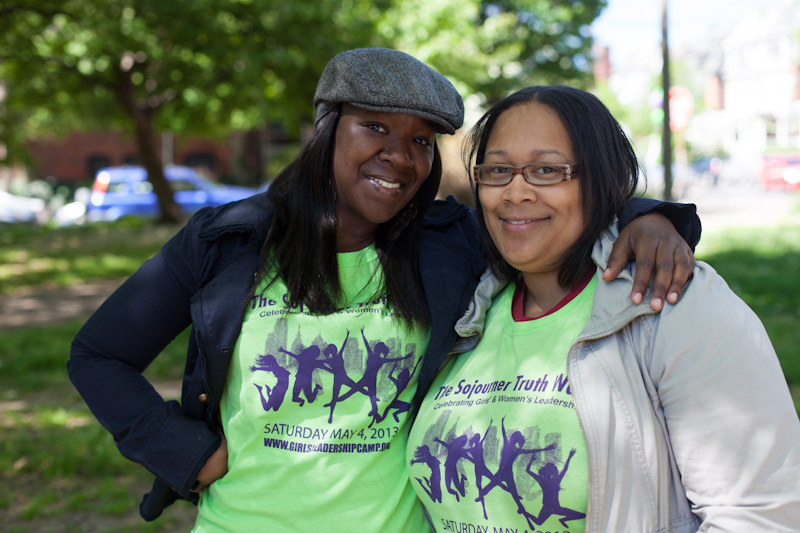 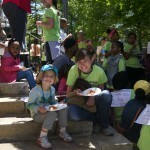 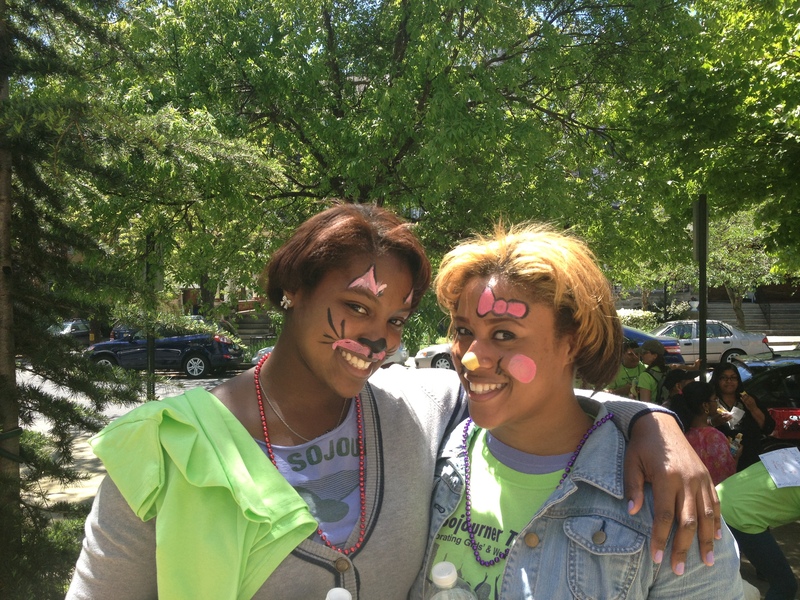 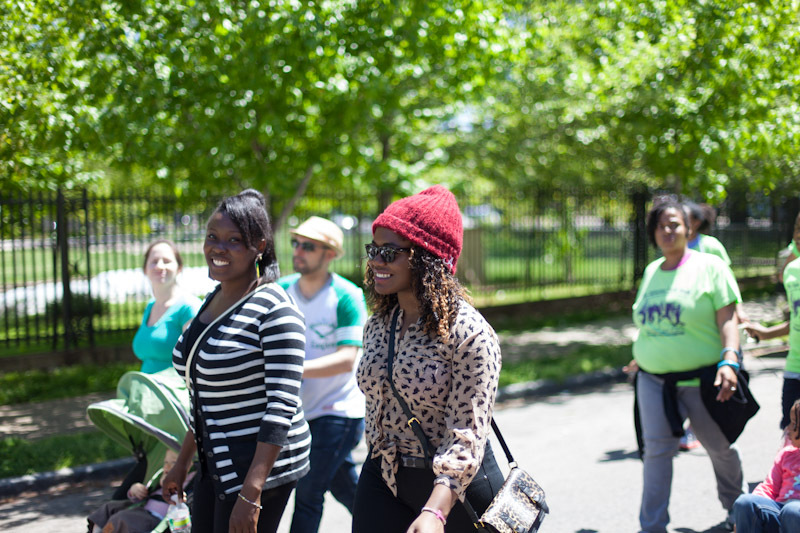 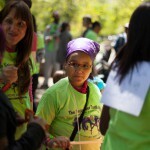 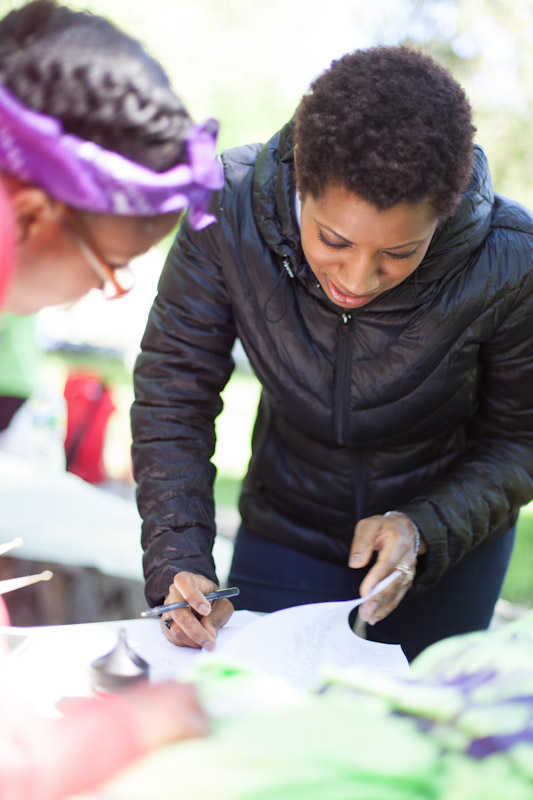 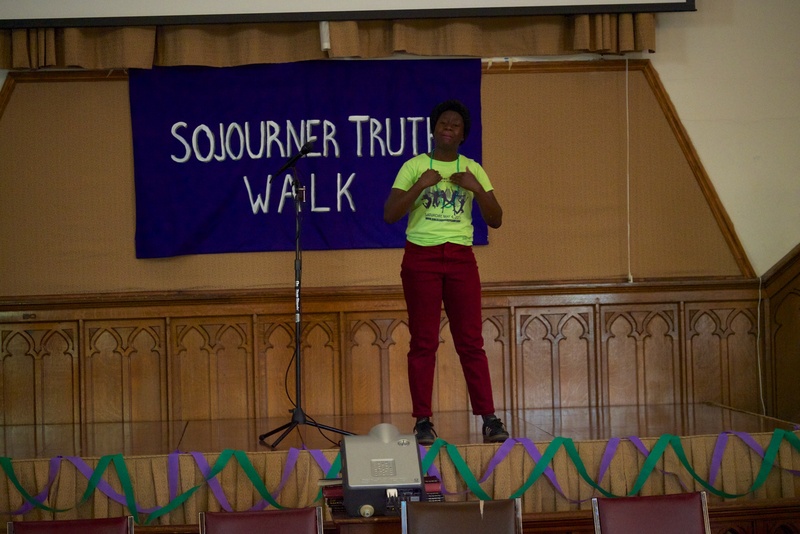 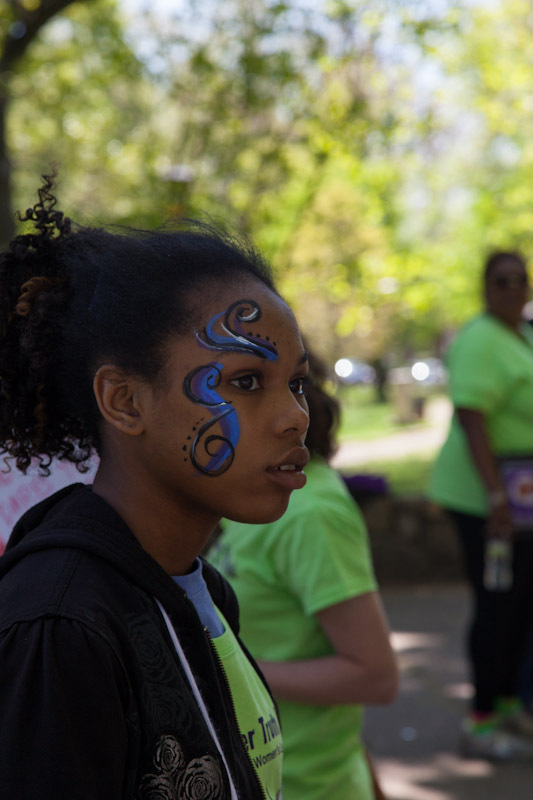 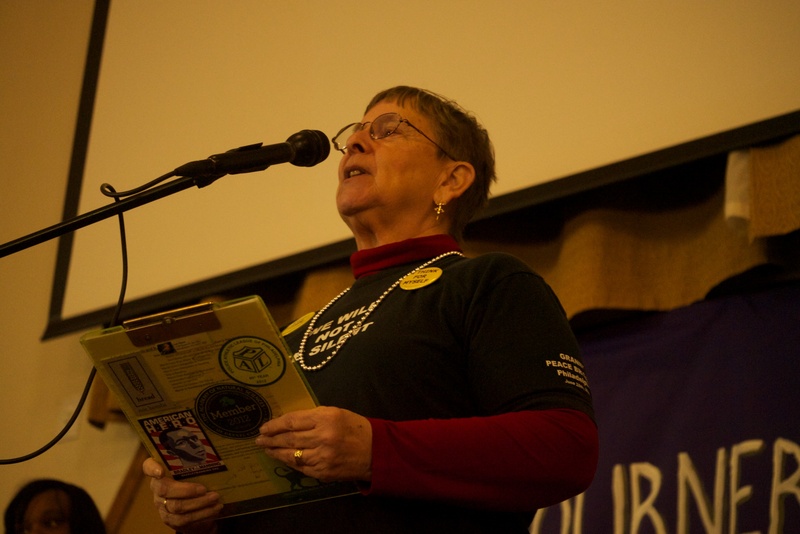 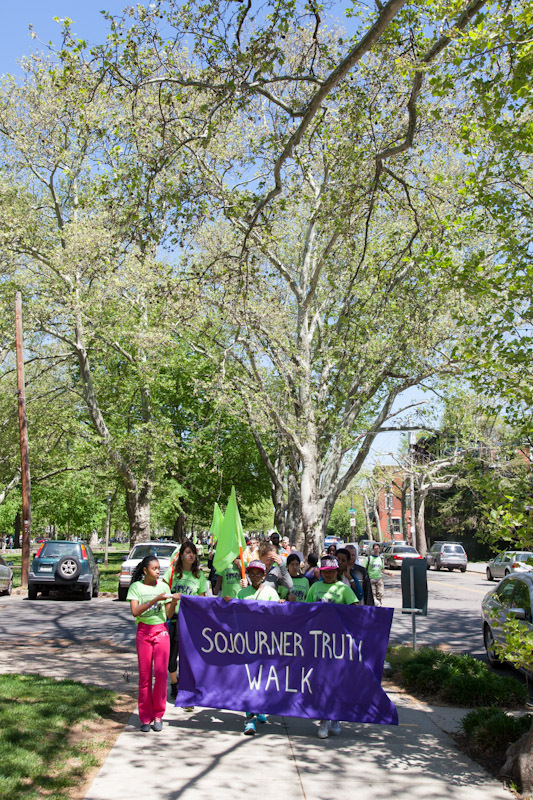 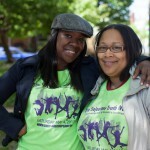 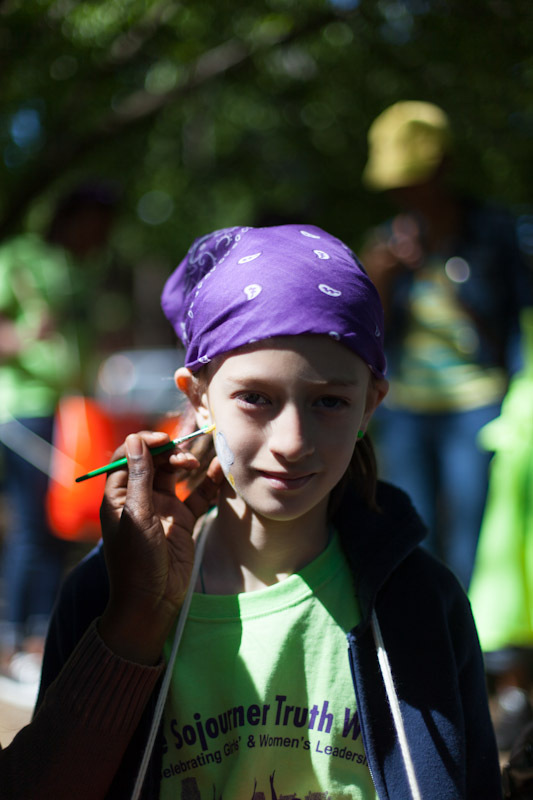 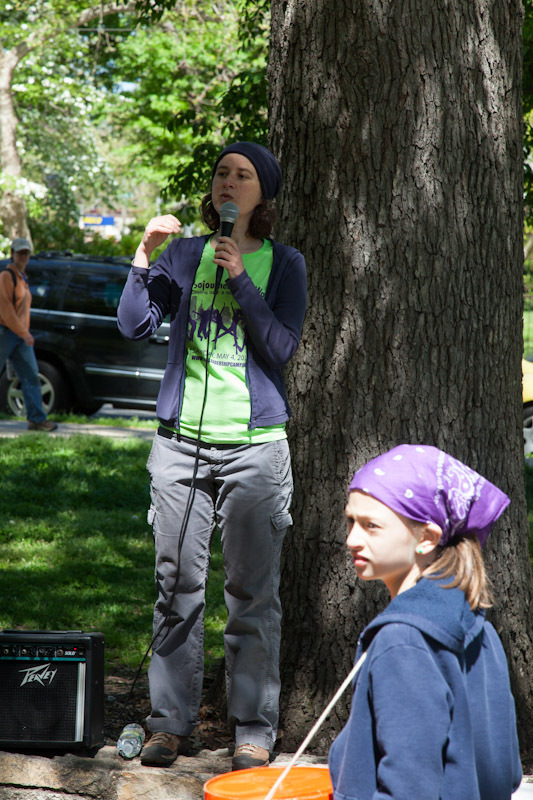 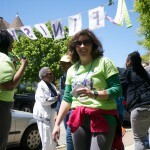 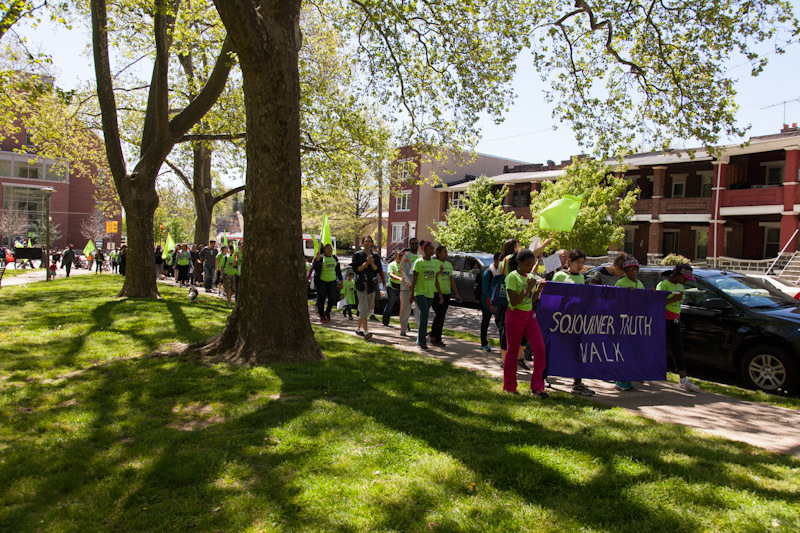 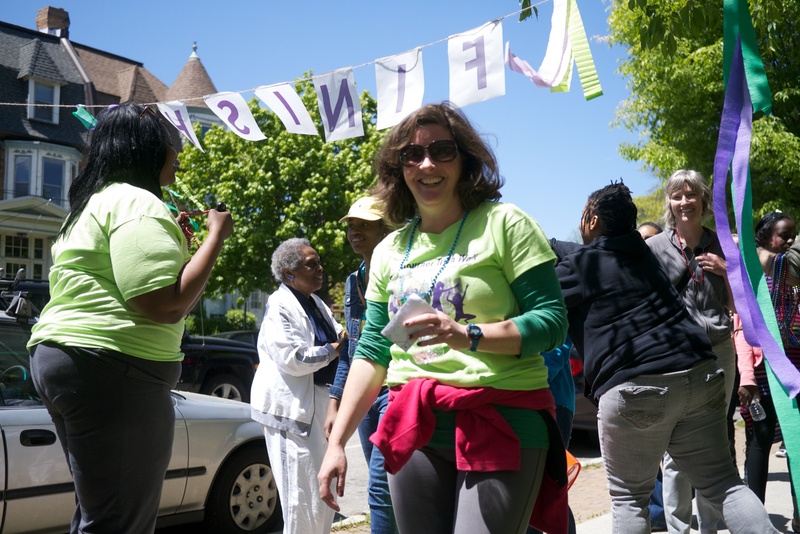 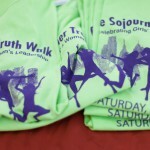 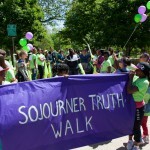 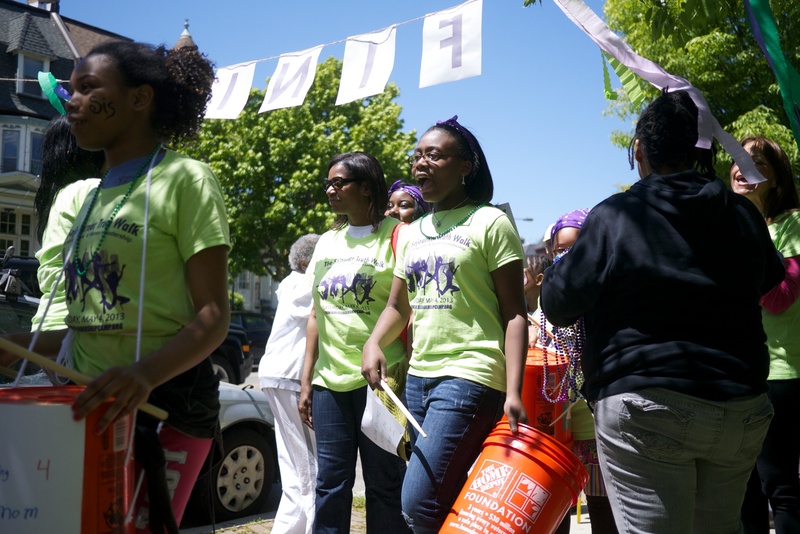 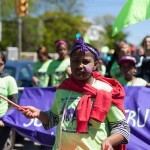 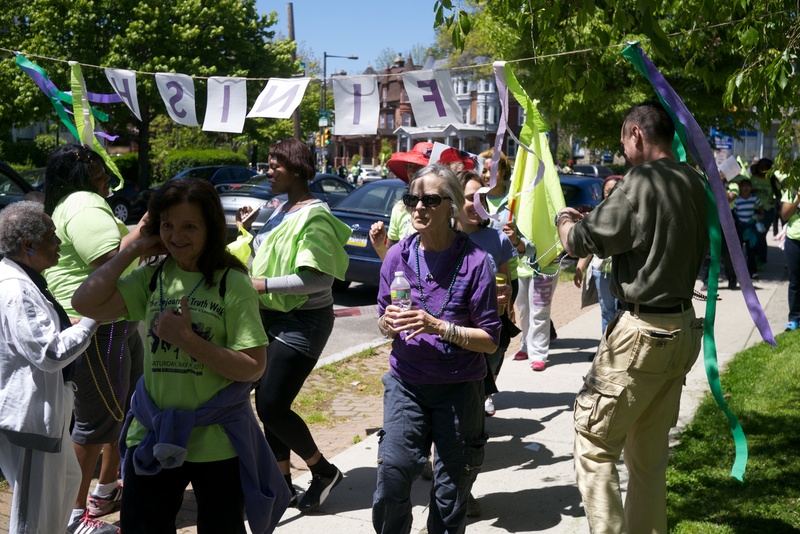 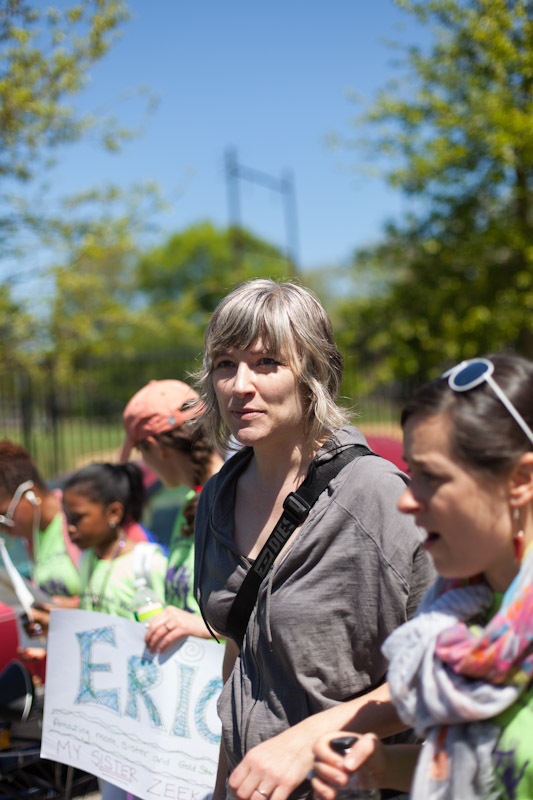 Thanks to all who helped make the Sojourner Truth Walk on May 4, 2013 a tremendous success! 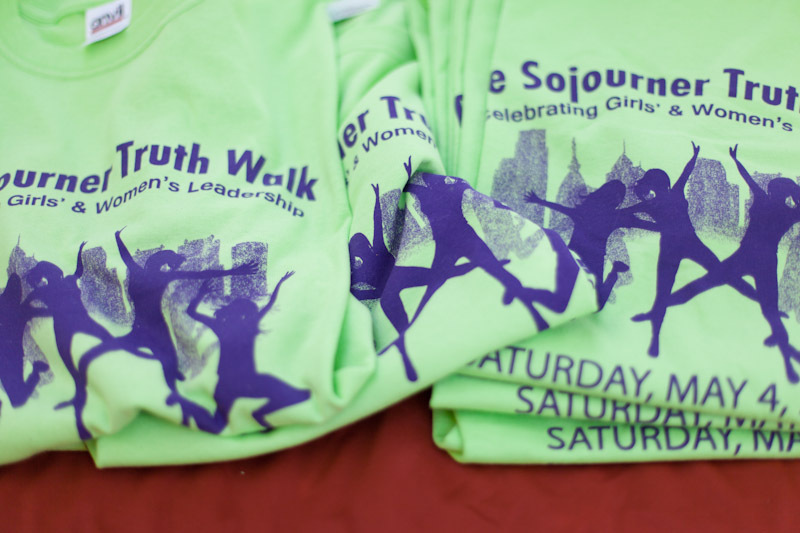 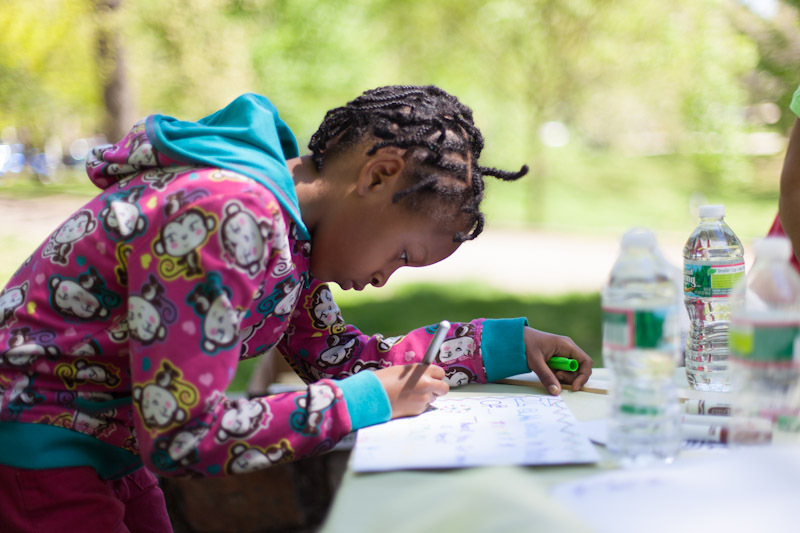 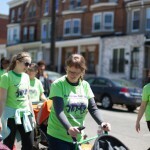 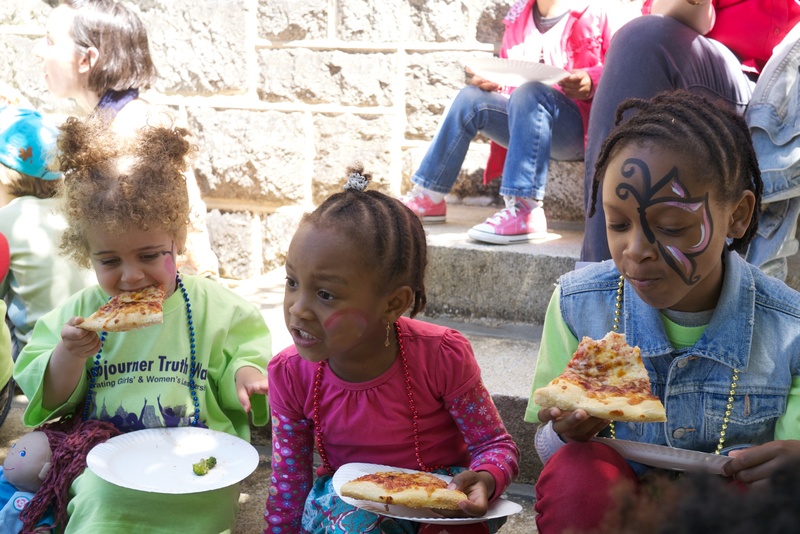 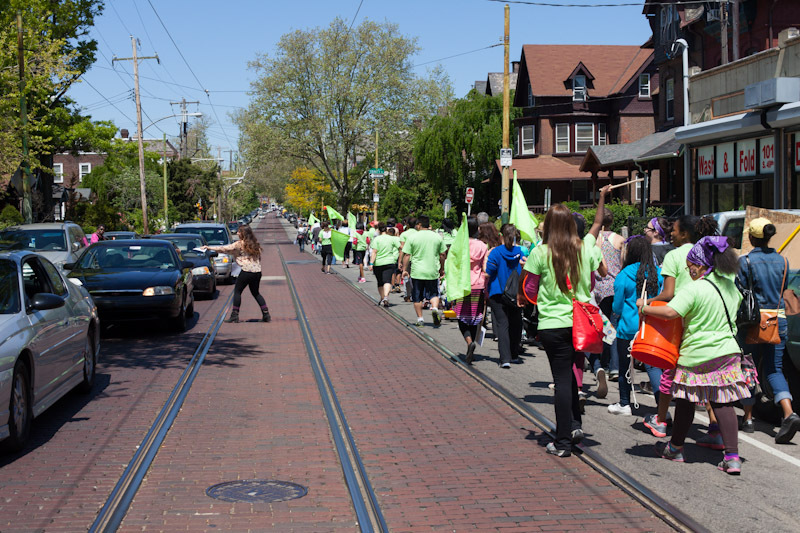 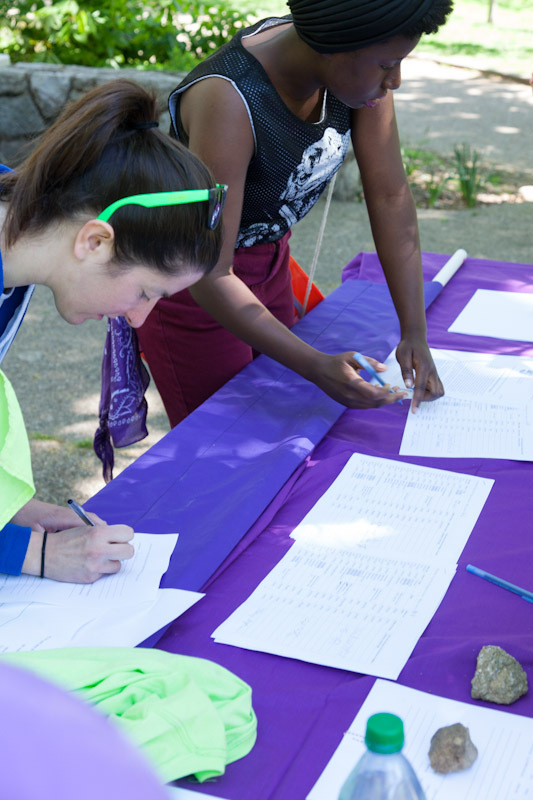 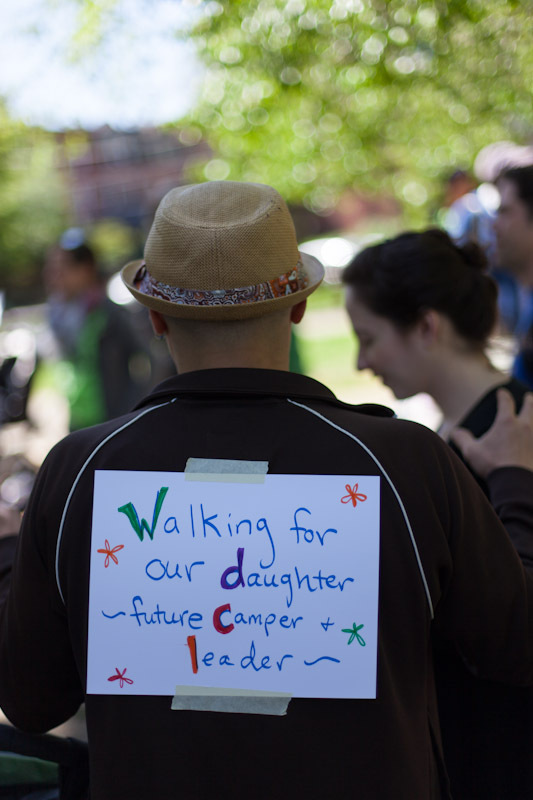 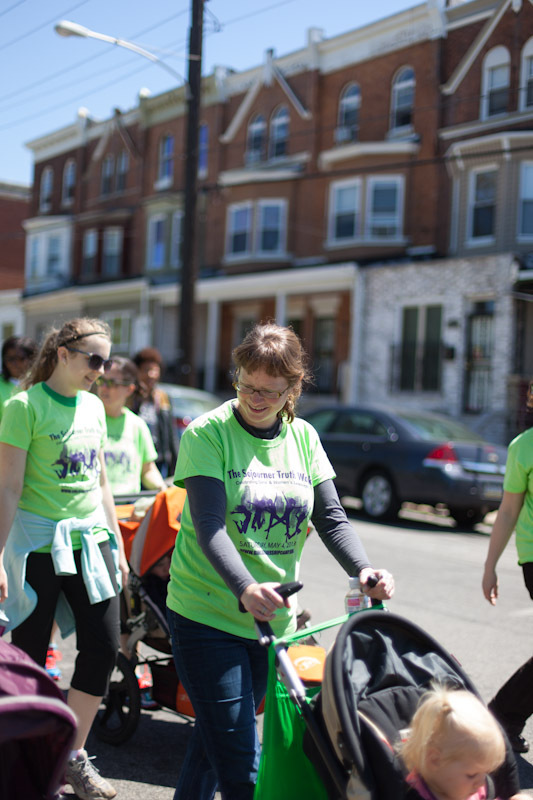 With more than 100 walk registrants and 200 individual donors, we raised $12,000 to support our program for Philadelphia girls. 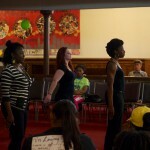 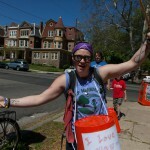 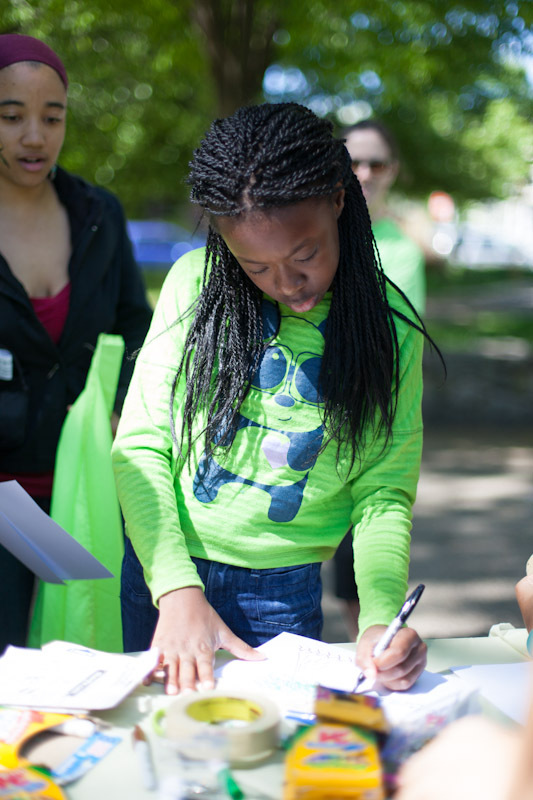 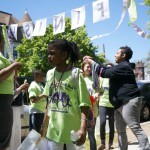 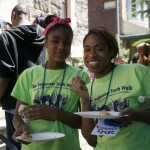 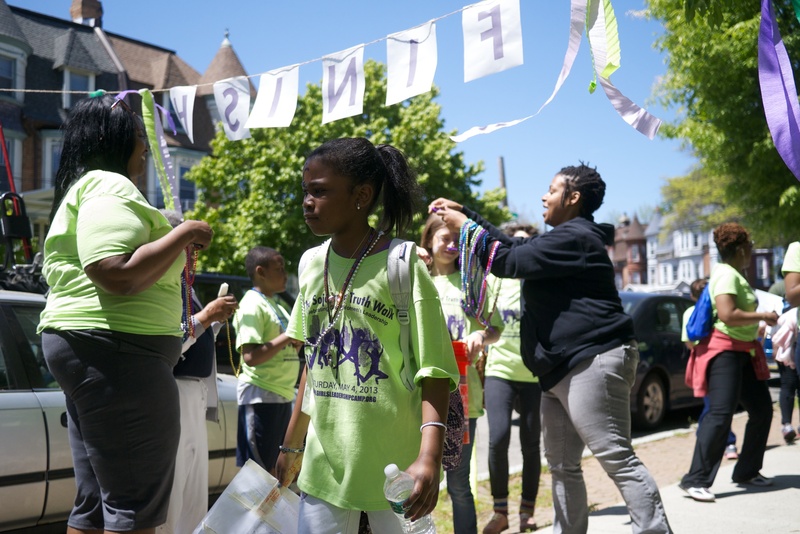 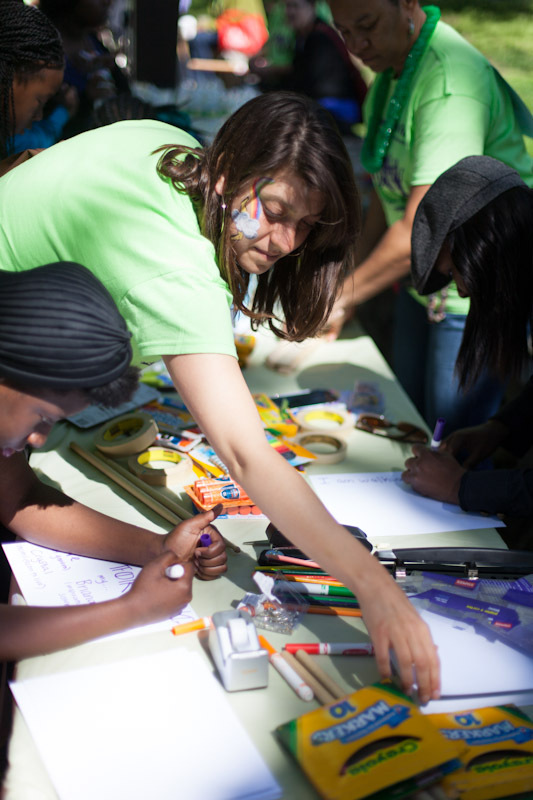 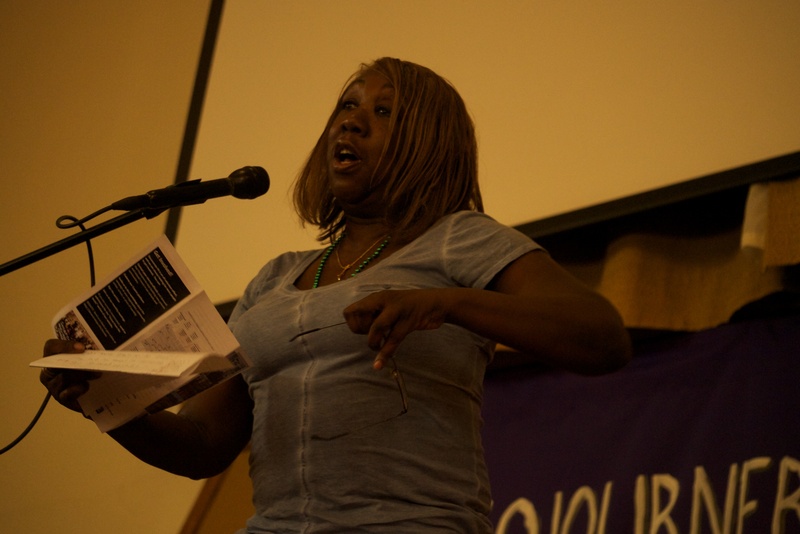 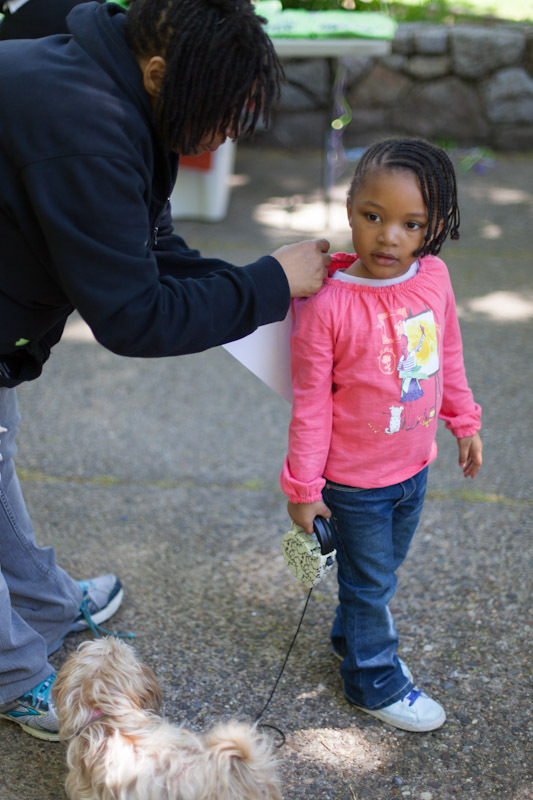 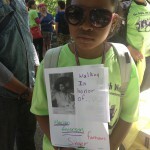 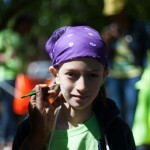 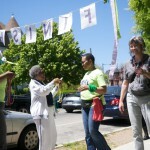 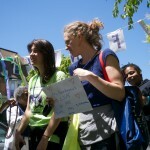 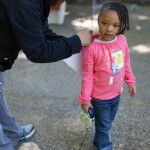 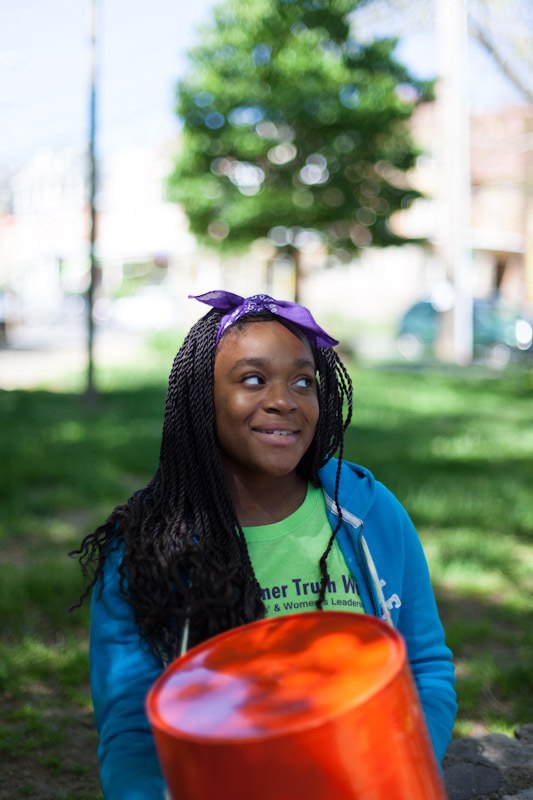 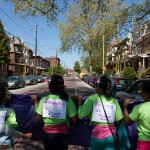 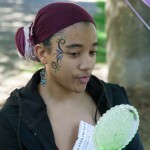 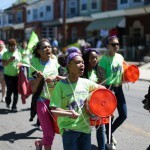 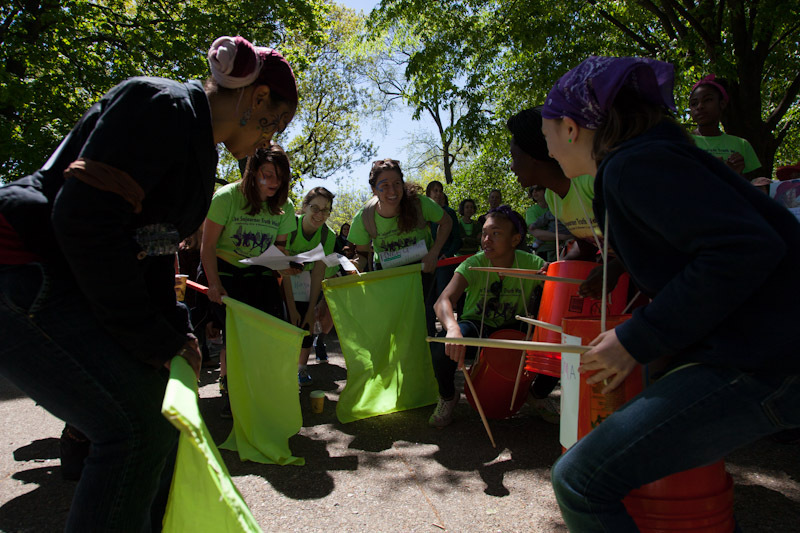 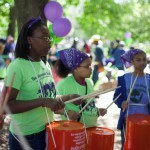 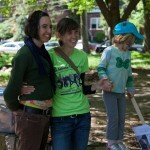 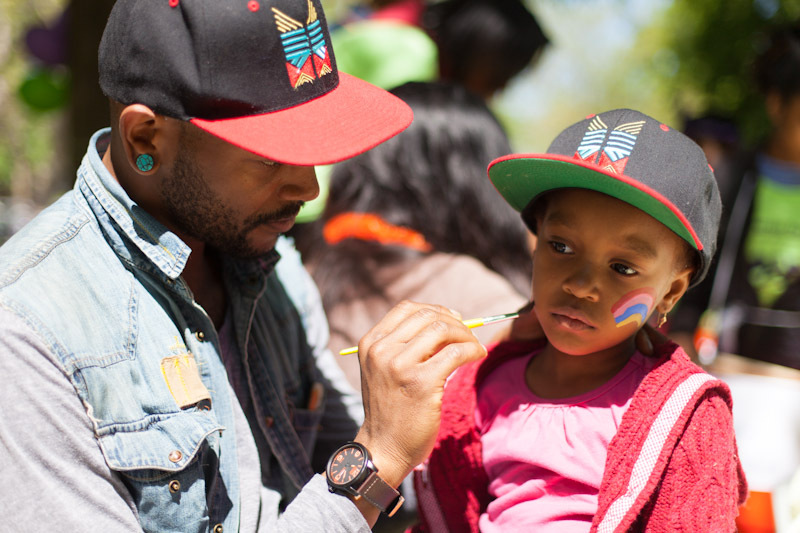 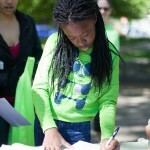 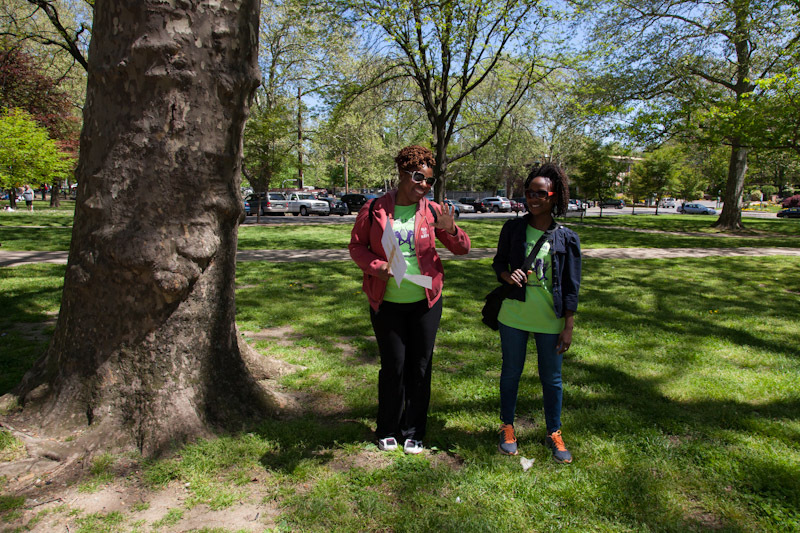 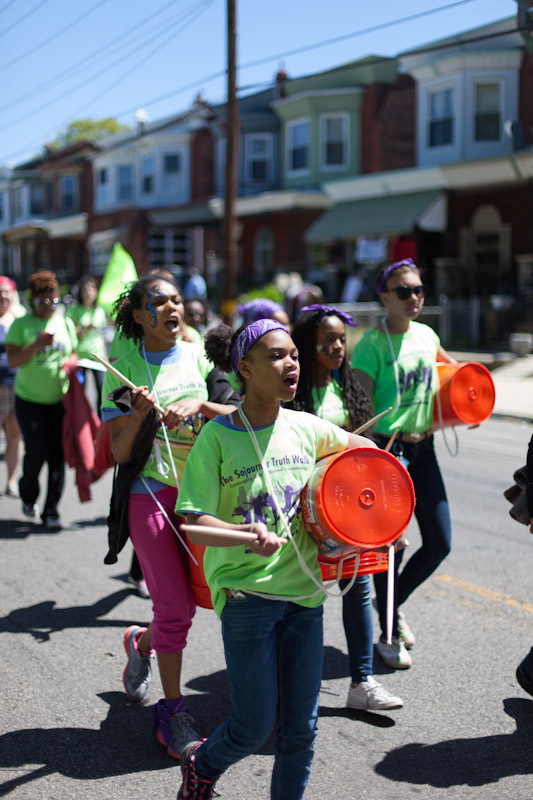 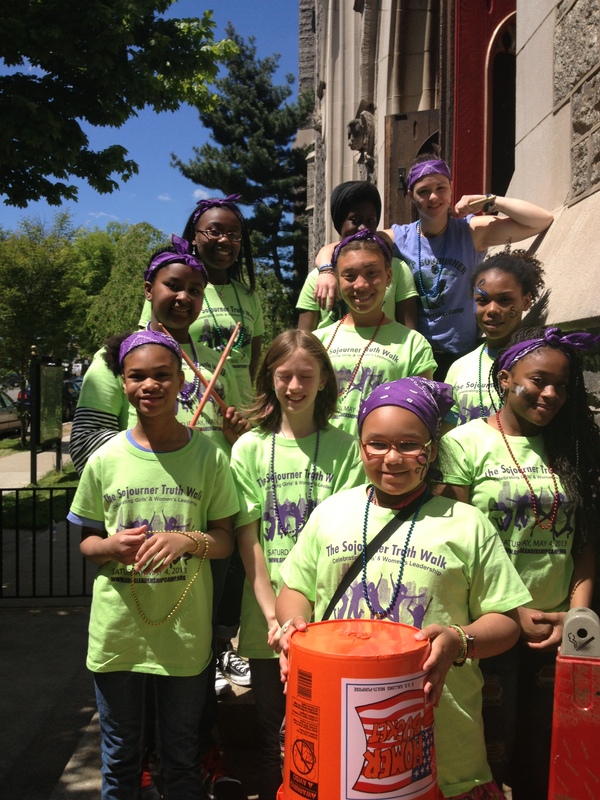 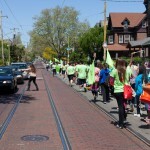 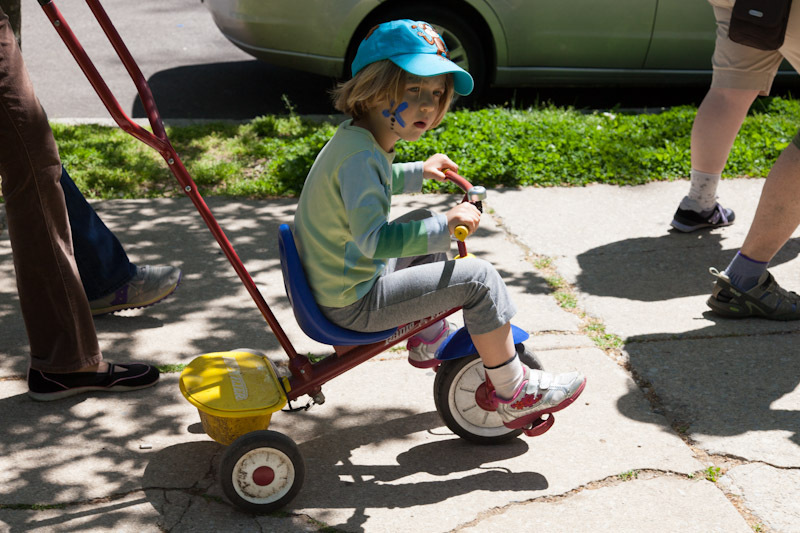 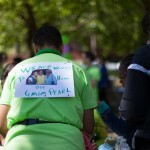 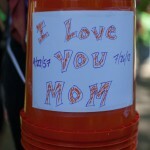 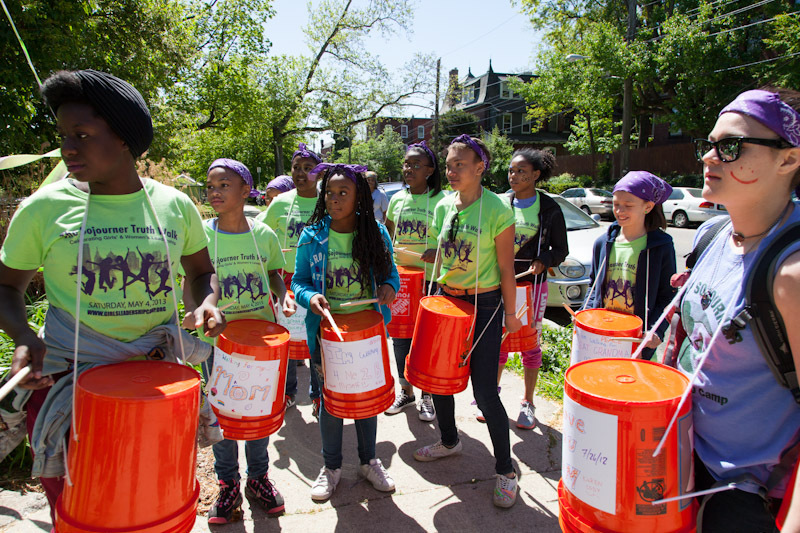 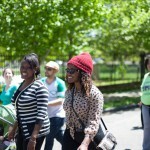 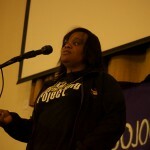 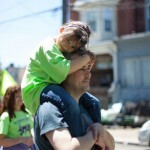 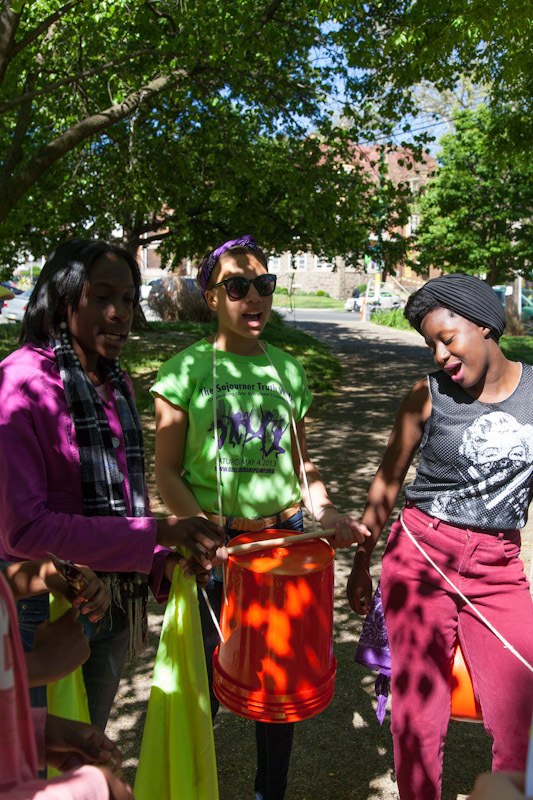 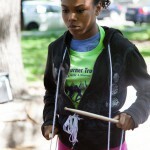 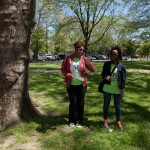 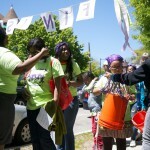 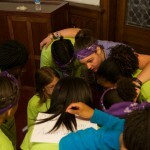 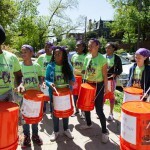 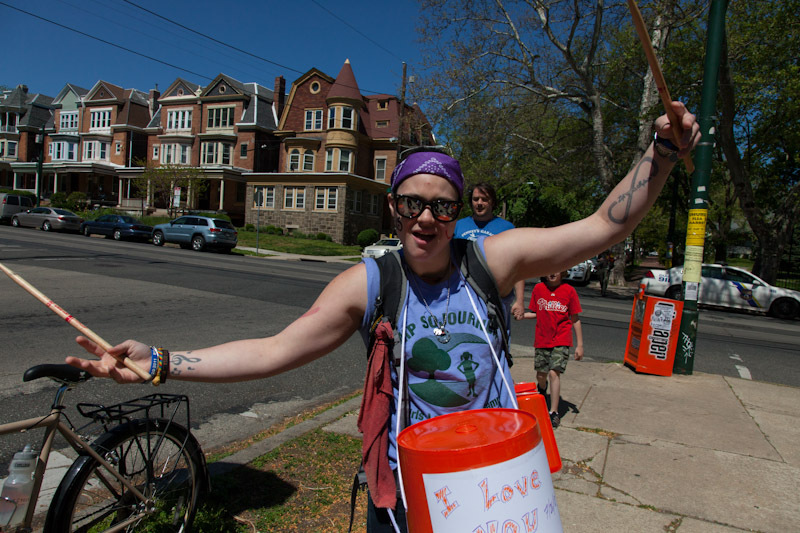 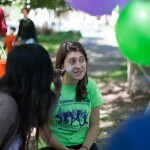 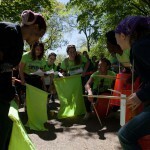 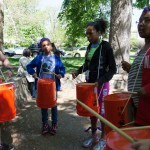 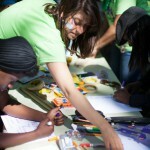 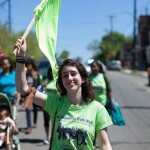 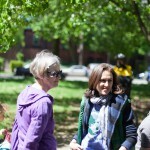 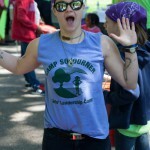 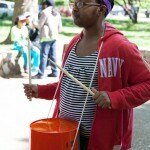 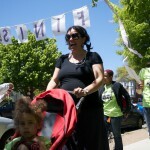 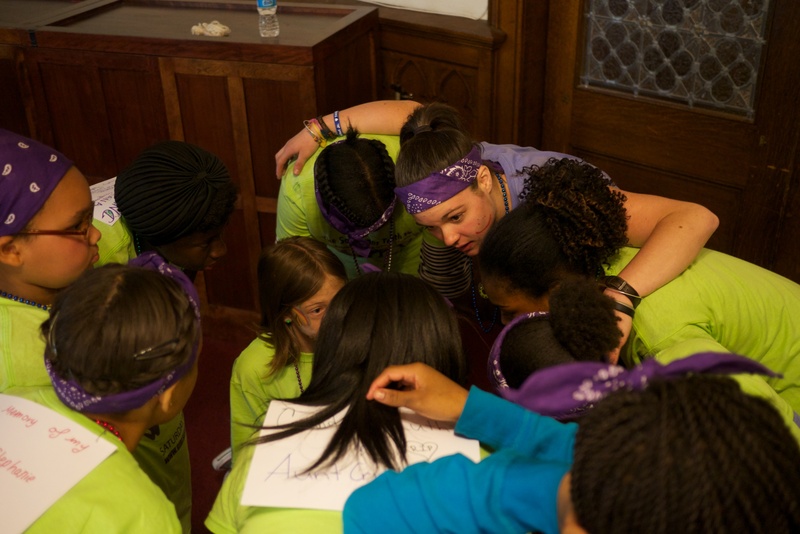 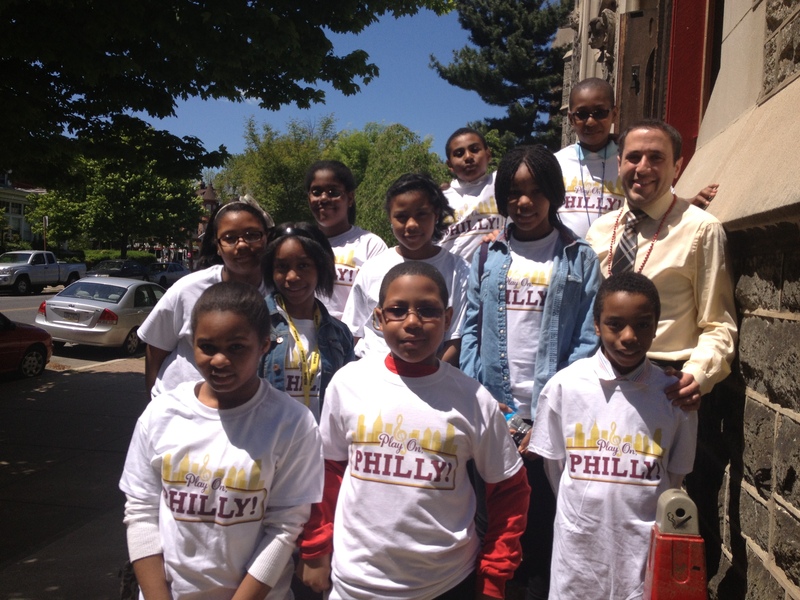 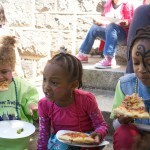 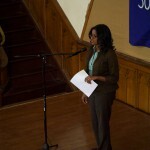 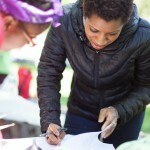 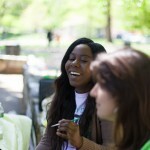 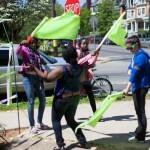 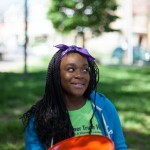 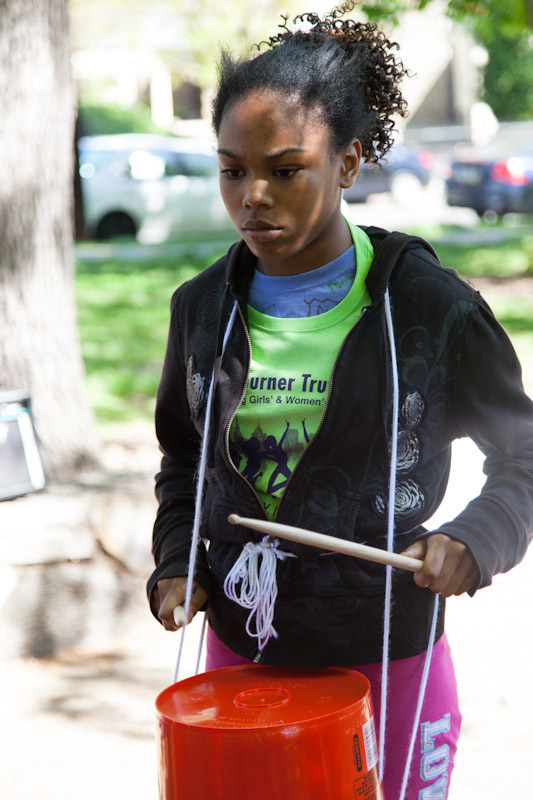 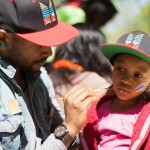 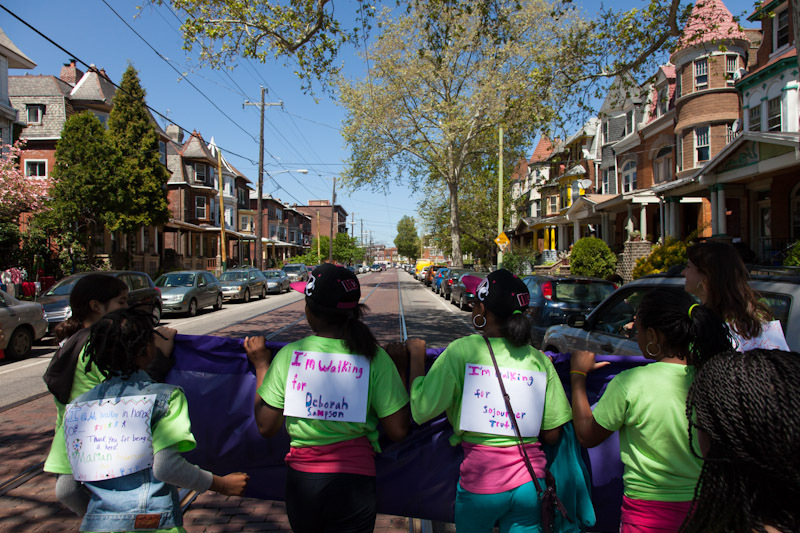 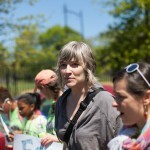 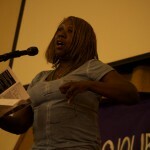 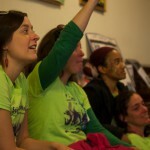 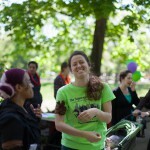 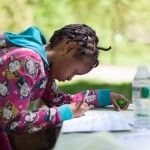 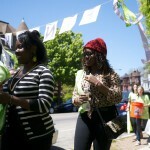 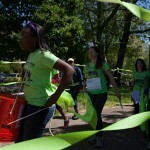 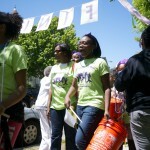 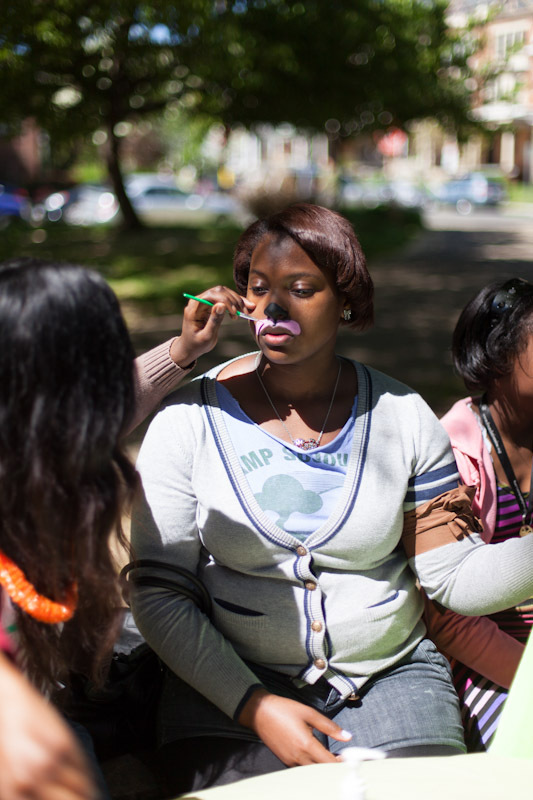 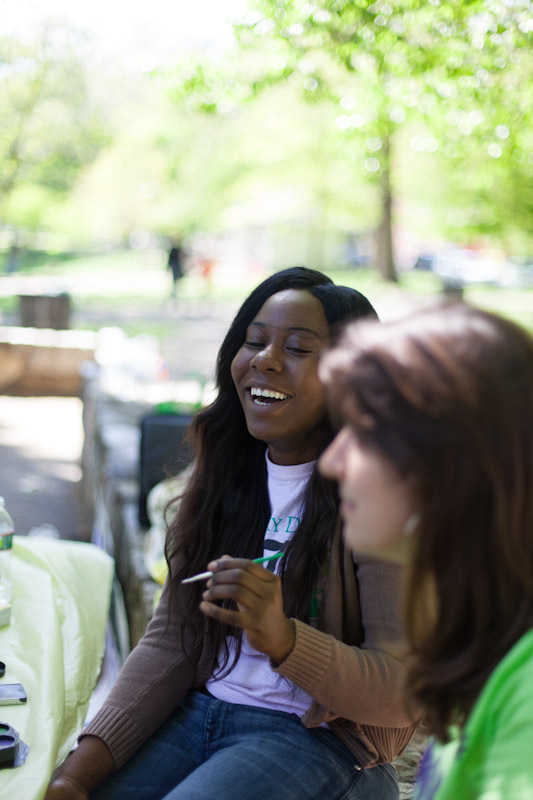 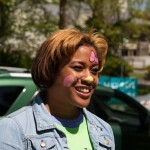 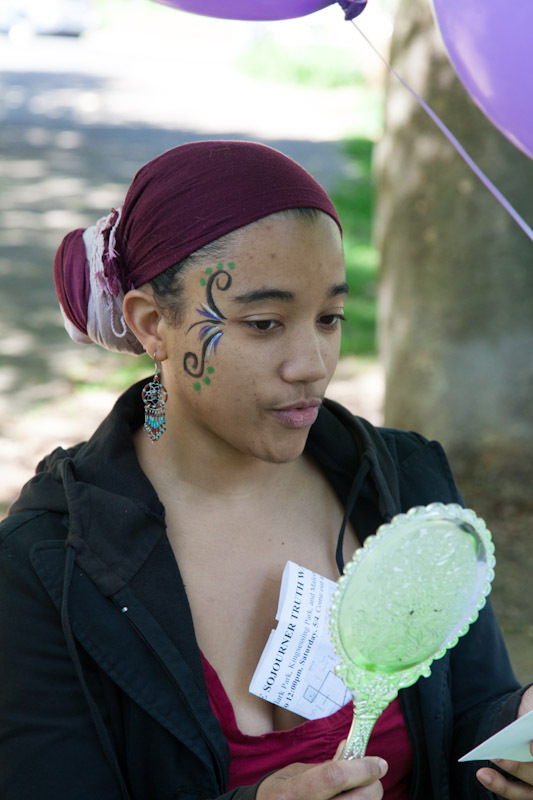 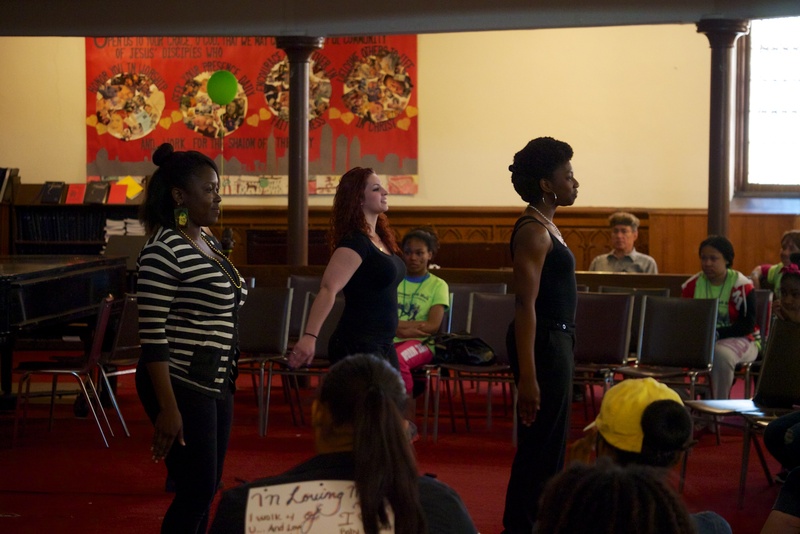 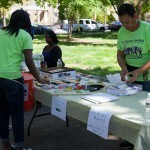 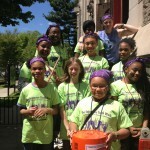 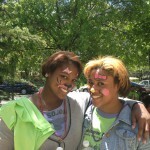 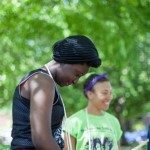 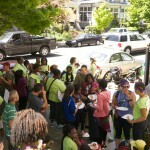 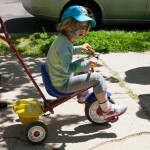 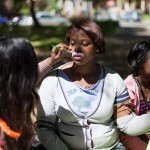 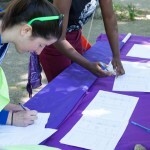 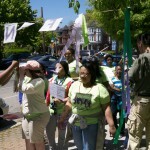 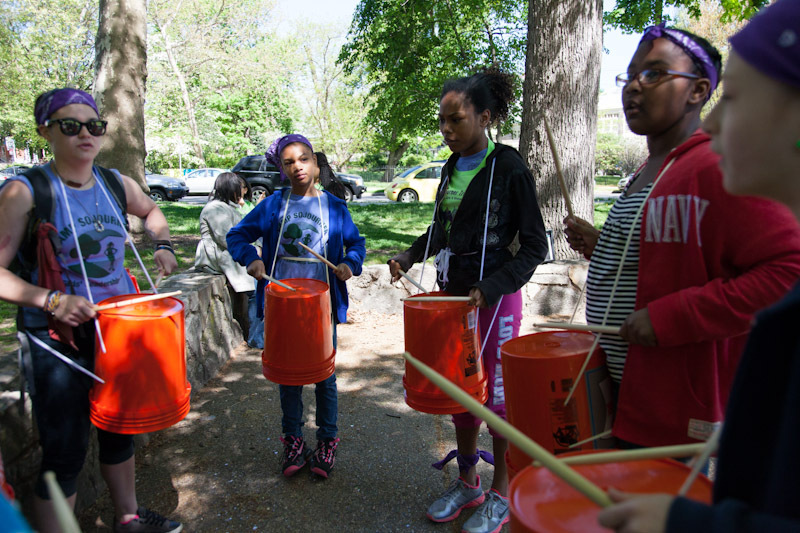 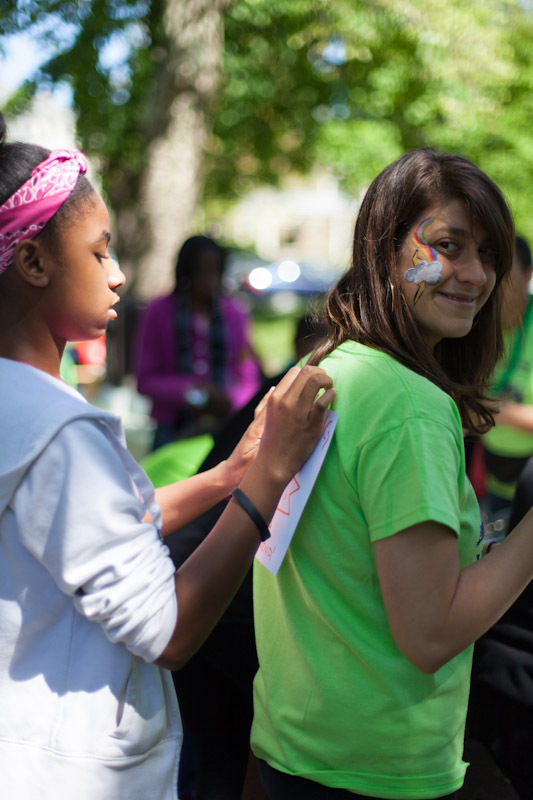 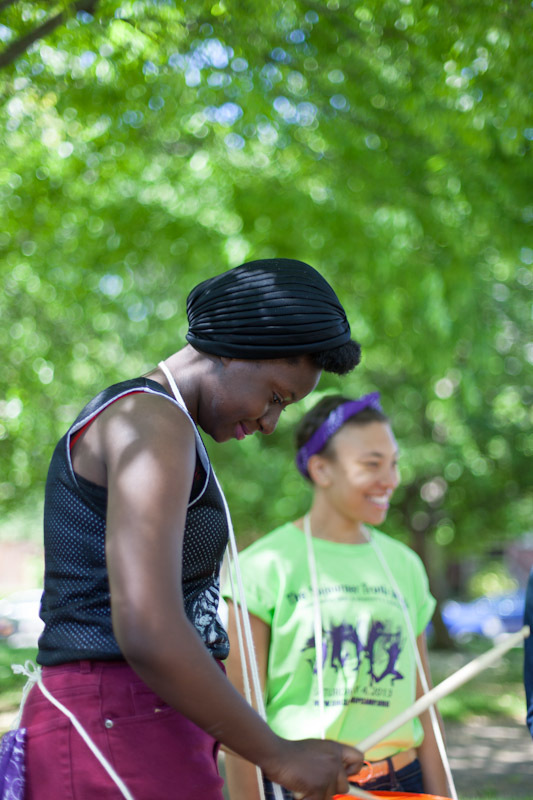 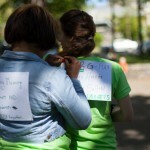 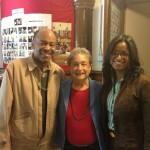 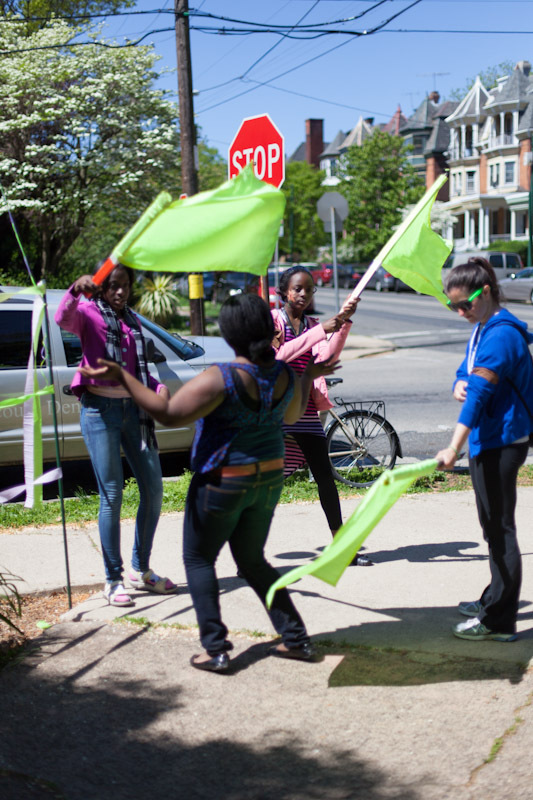 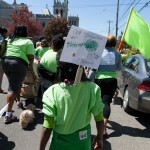 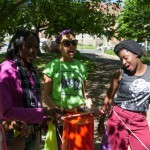 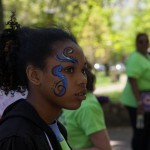 And, we spread positive images of girls and women’s leadership throughout our West Philadelphia neighborhood. 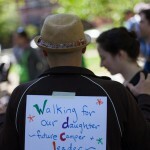 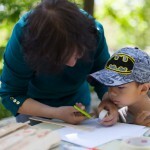 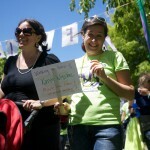 It was a beautiful and inspiring day! 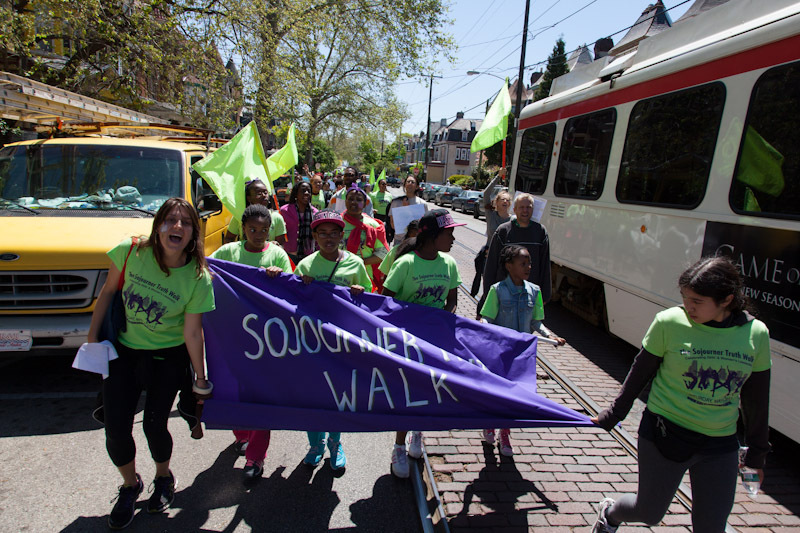 Below are images of the many facets of the day: gathering in Clark Park for registration, face painting, and sign-making; 5K walk and drumming through West Philly; crossing the finish line at the Calvary Center for Community and Culture; eating lunch together and enjoying the celebration afterwards, including performances by Play On, Philly!, Ladies of Elegance Step Team, Sojo Drummers, speakers Farah Jimenez, Babette Josephs, and Ruth Meachum, and community organizations Decarcerate PA, Media Mobilizing Project, and the Granny Peace Brigade. 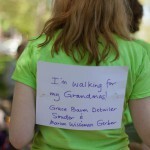 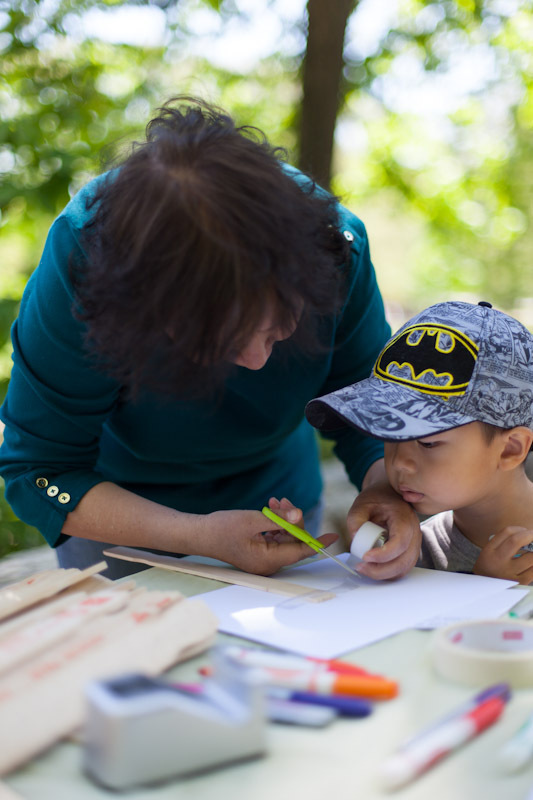 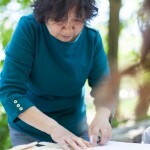 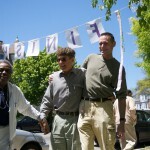 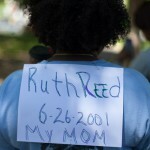 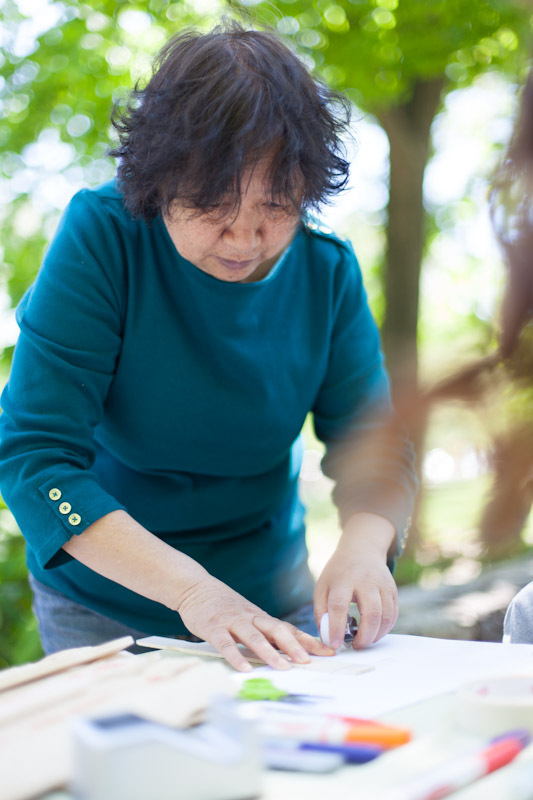 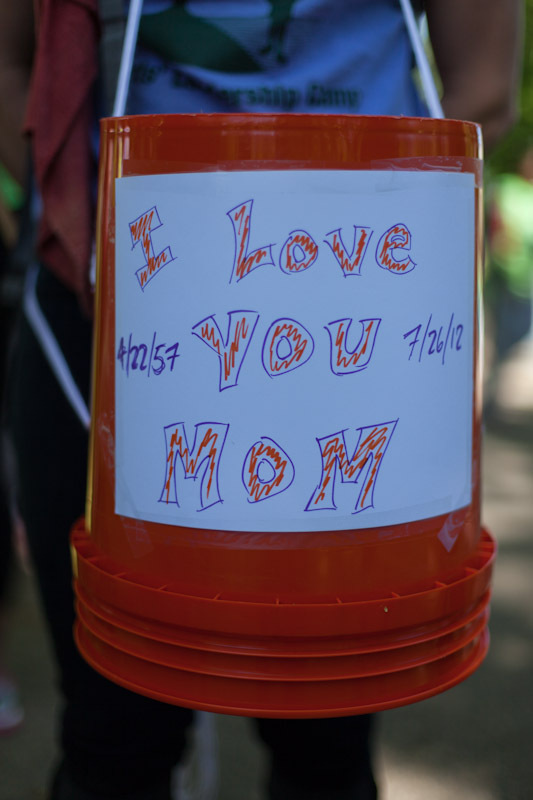 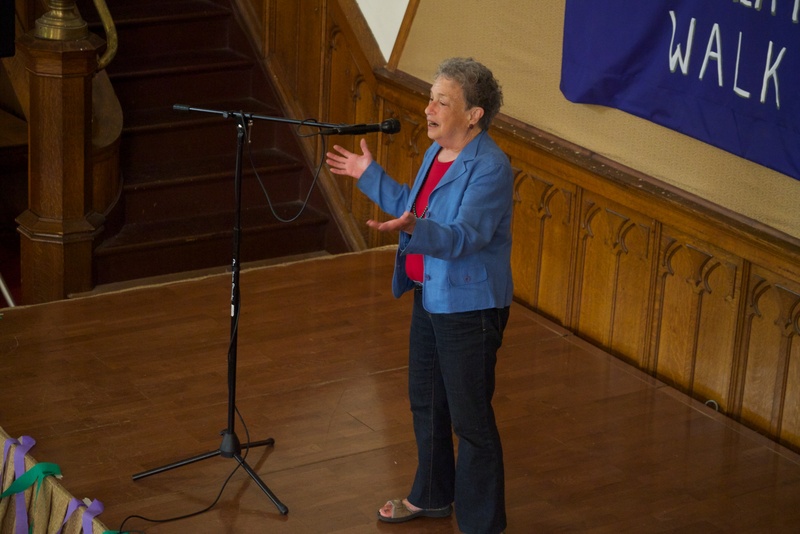 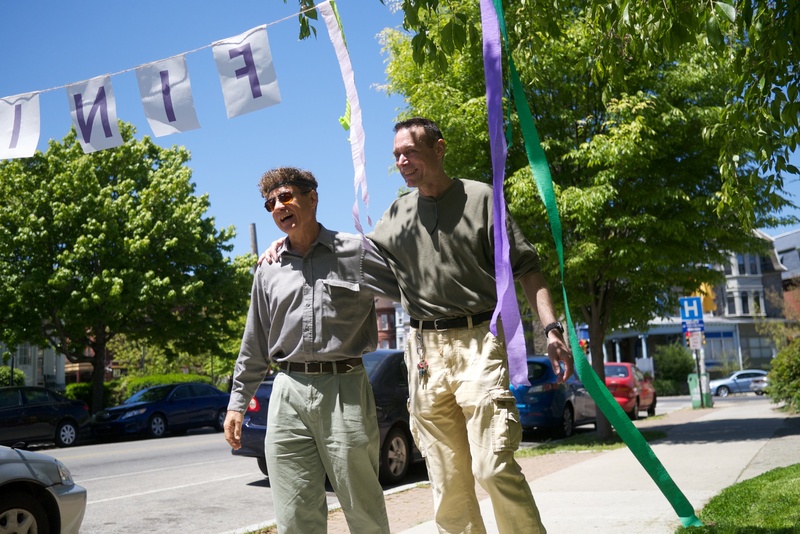 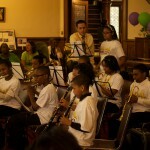 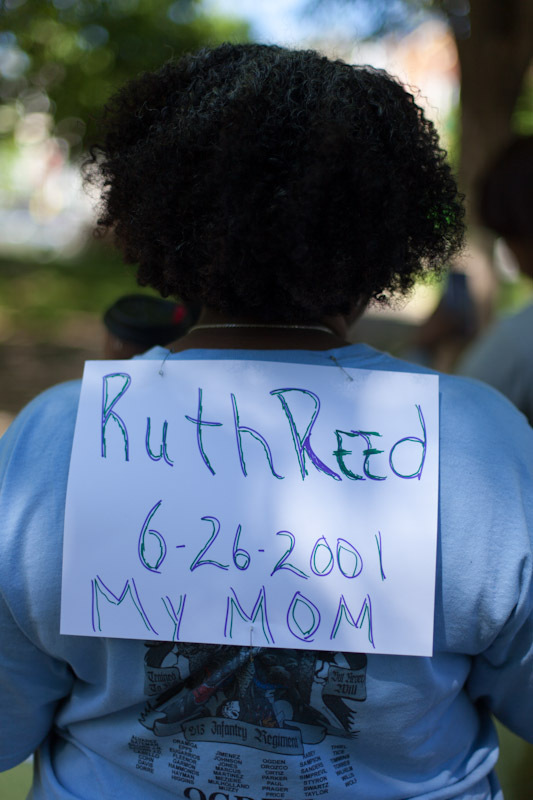 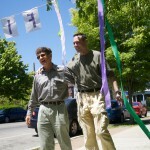 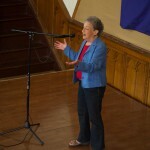 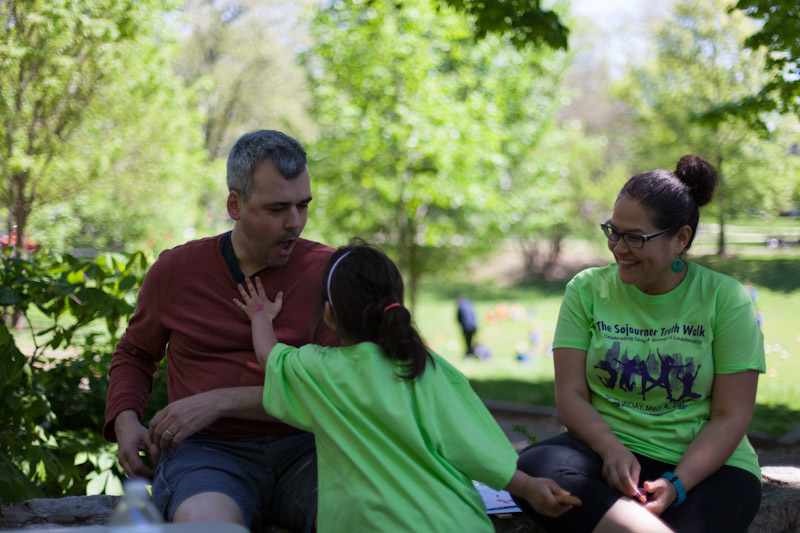 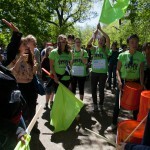 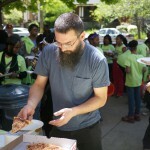 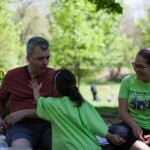 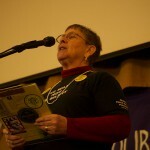 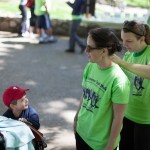 Thank you Paul Gargagliano, David Reese, and Tina Ogden for taking these pictures!